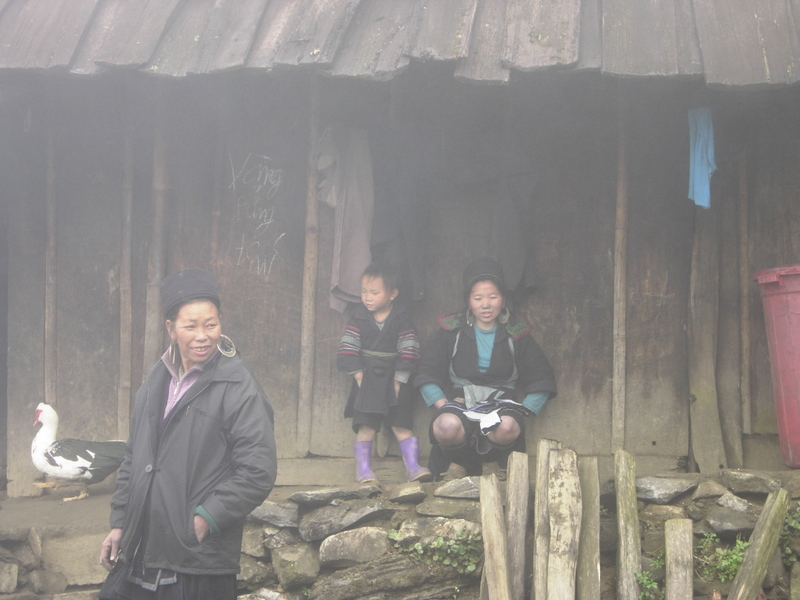 Winter is not the best season to be in Sapa. 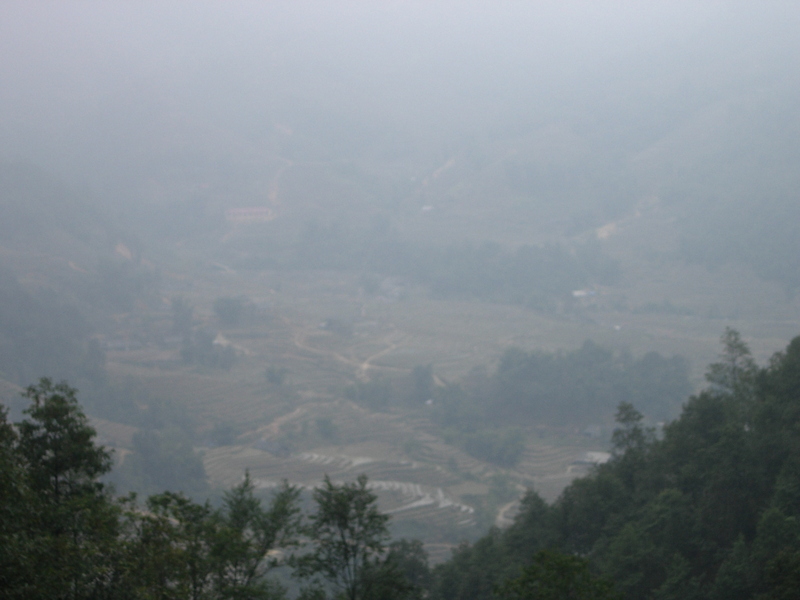 Not only is it bitingly cold and wet but Sapa’s splendid views are mostly obscured by the fog which could be so thick that you can’t see anything beyond a hundred meters or so. On the other hand, there’s less people, you can sip warm red wine by a fireplace, and you can trek all day without breaking a sweat. 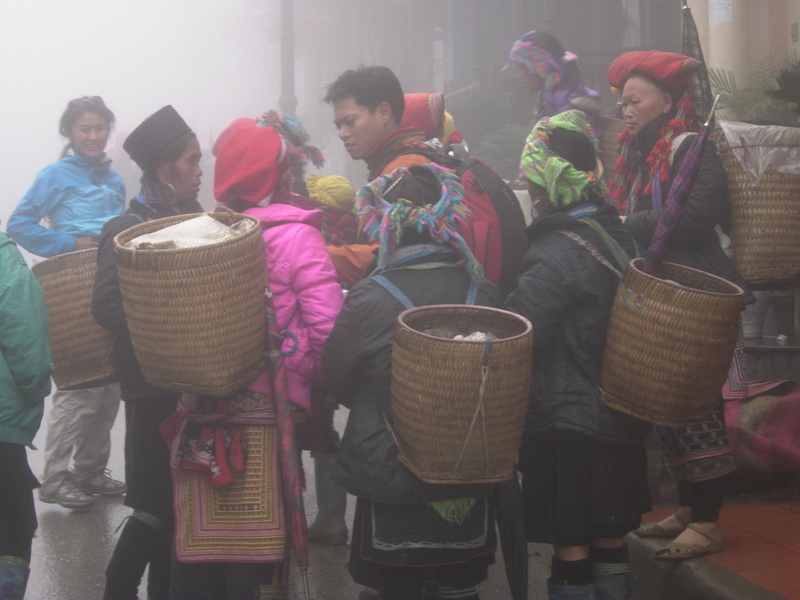 I missed the famous Bac Ha market held only on Sundays as I arrived at the Green Valley Hostel from the Lao Cai train station quite late already. The hostel was located on the fringes of the town center on the road to Y Lin Ho so I was the last to be dropped off by the van that the hostel had arranged for me in advance for 30,000 VND. I should have booked a tour in Hanoi so I could have been picked-up at Lao Cai and headed straight to the market before going to Sapa. I spent the rest of the Sunday just getting my bearings around town and heading to Cat Cat village in the afternoon. The hostel was nice enough though there are better ones nearer the center. It needed a lot of sprucing up but it was very clean and was run by a nice Vietnamese family with a cute daughter. I had a really large room with two large beds. The electric blanket came in really handy at night when temperatures dropped to near freezing. A few days of being approached with cries of “buy from me” and “buy some more” and I’m ready to flee from the first H’mong or Dzao that I meet on the street. Make no mistake about it. 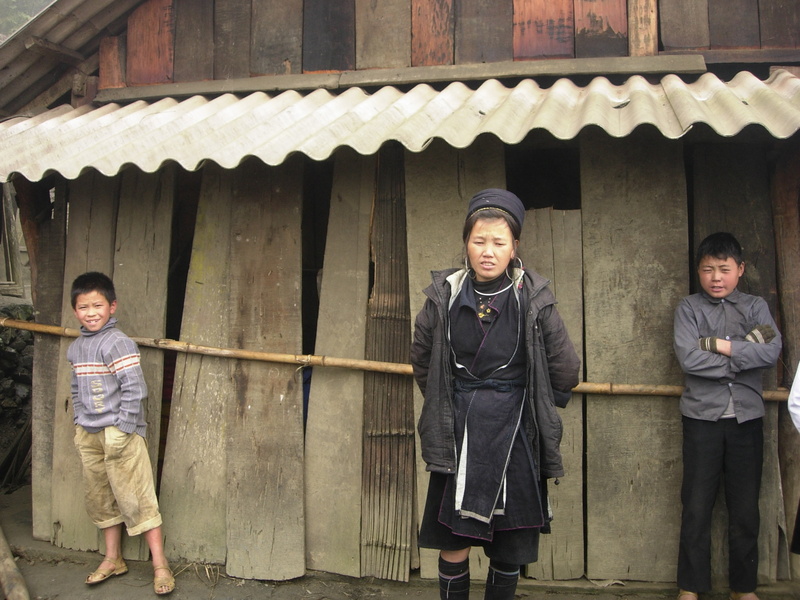 These people will remember you and haunt you all throughout your stay at Sapa and one of the biggest mistakes you can ever make is to excuse yourself with, “I’ll buy from you later” as you will have to pay for that statement later with actual purchase or you’ll never hear the end of it. You can’t even flee as they’re going to follow you even on treks. 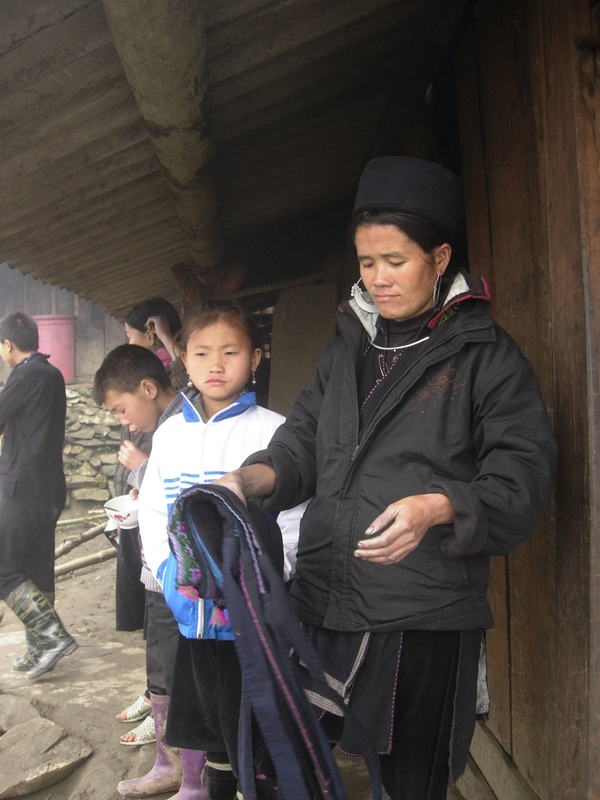 A Dzao woman I had already bought from followed me all the way to Cat Cat Village and back. You can always duck in a nearby restaurant or cafe and or even just head home. Sure, they don’t go in but they’ll be waiting for you outside. Stalker! An all too common sight--- a tourist mobbed with "buy from me!" 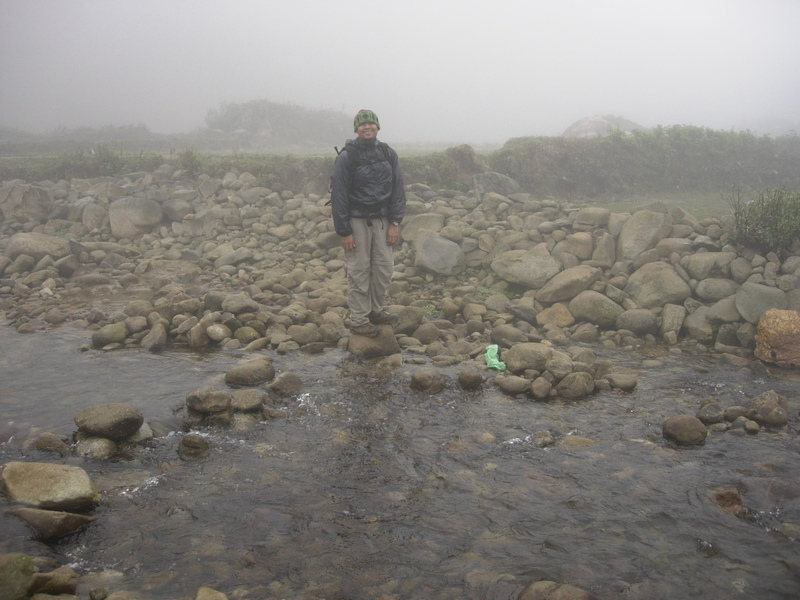 Trekking popular routes won’t give you any respite either. Remember that you’re actually heading to their villages. 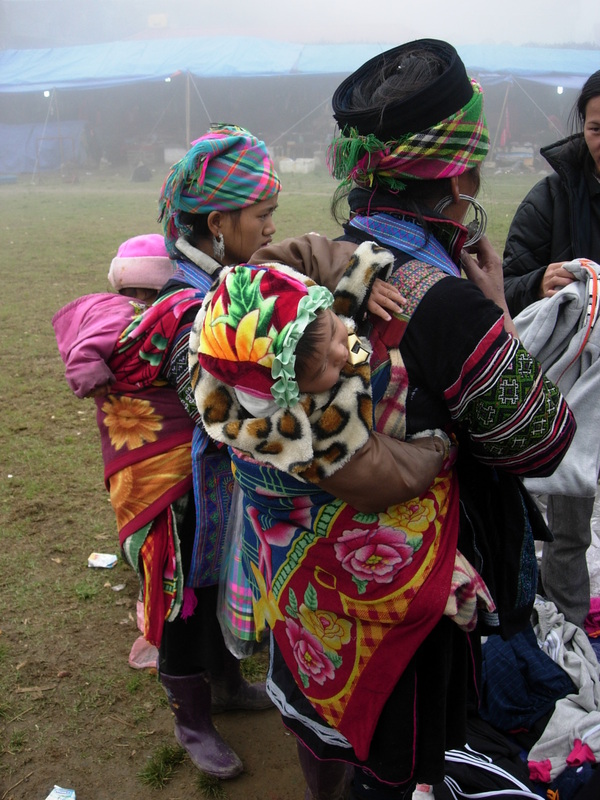 Ever wonder what those hoards of H’mong are doing following those tour groups? They’re not there for the walk. When you take that rest stop at Lao Chao be ready for a sales assault. Strong-arm tactics are taken literally here,. 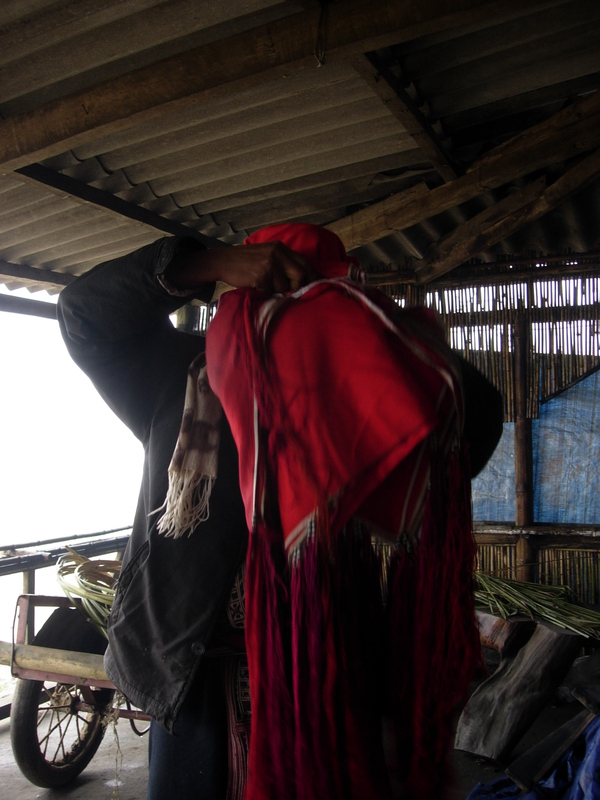 An elderly H’mong woman grabbed my arm and shoved some souvenirs under my nose. I had to extricate myself and literally run away from her. She could arm wrestle with the persistent vendors in the markets of HCMC and even China. That being said, it’s actually quite fun to banter (and bargain) with them. It’s inevitable that the economics of a top tourist destination will not be lost on the locals. Buying stuff from them is a small price to pay for intruding into their habitation and their lifestyles. I just hope whatever money they get selling all that stuff actually goes to them so they can have better lives within the parameters of their culture. 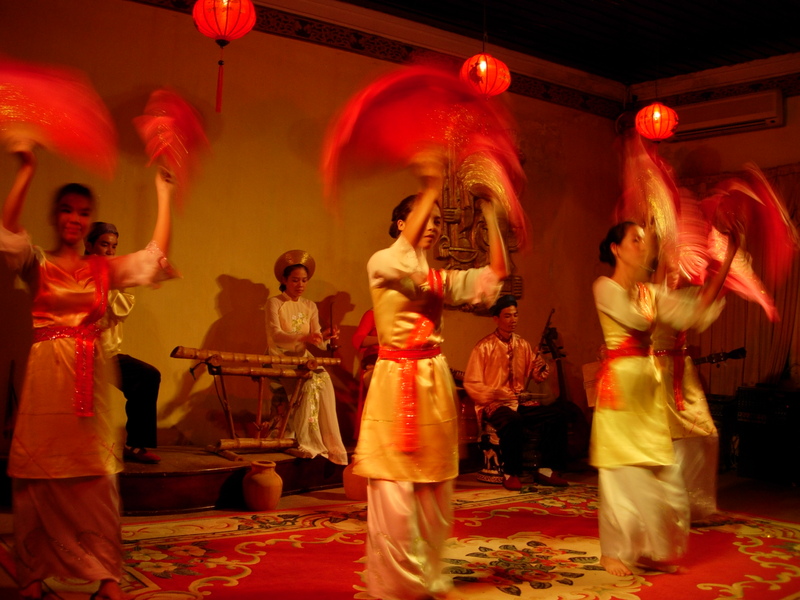 Some of the stuff are actually quite good like the fabrics and brocade that decorate their traditional clothes . 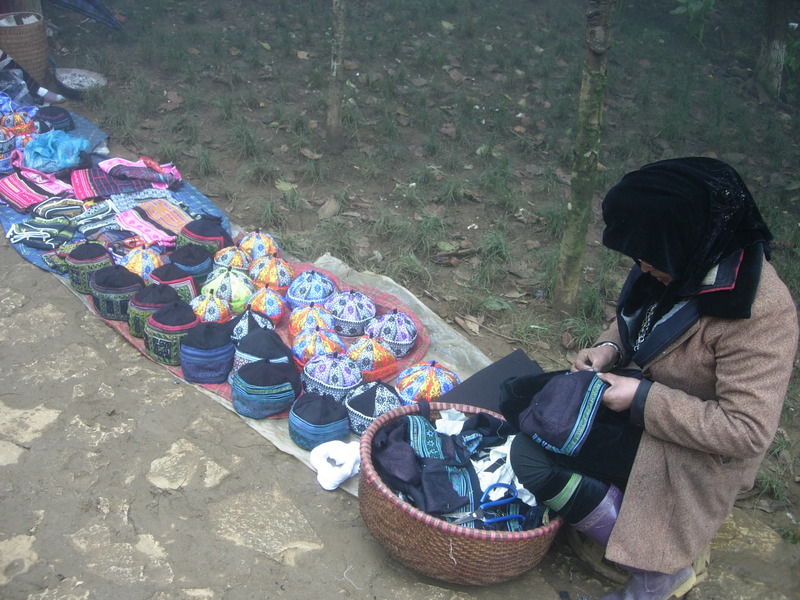 By the time I was through with my Sapa trip, I had bought a blanket, some small bags, head coverings, bracelets, earrings, and pieces of cloth. I also got a Dzao drum(250,00) at Cat Cat village and a H’mong khaen (300,000) at a stall at the central area. I also got a Dzao drum(250,00) at Cat Cat village and the H’mong khaen (300,000) from a stall at the central area in front of the church. 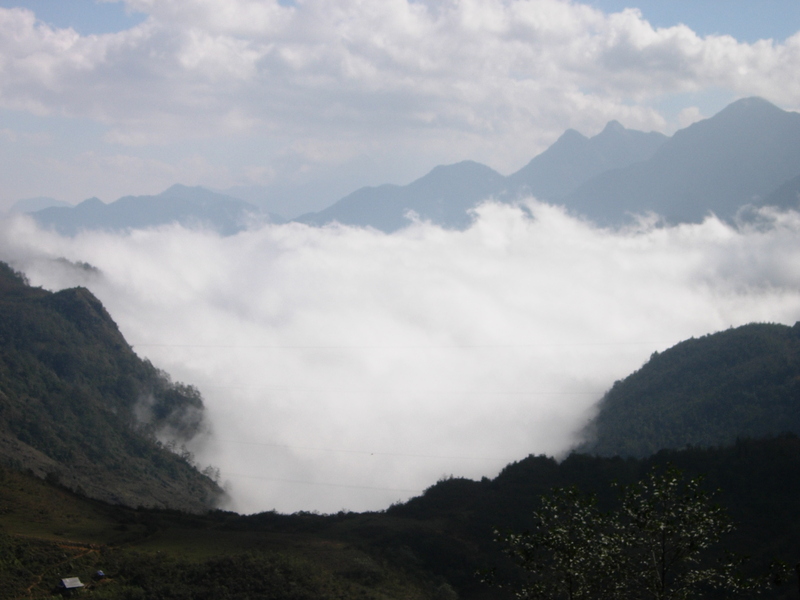 There’s no point in going to Sapa if you’re not going to do any treks. 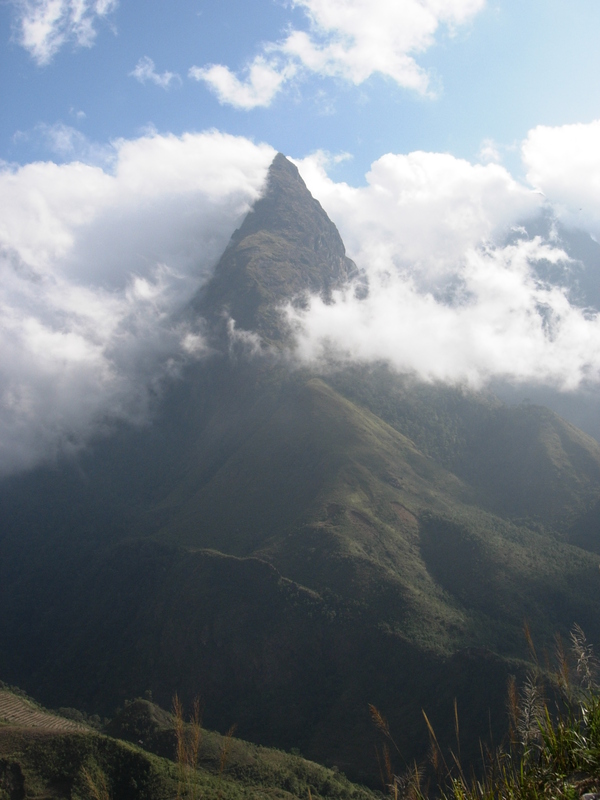 Indochina’s highest peak, Mt. Fansipan was definitely out of the question as it would have been too cold and too wet to attempt it. Perpetually covered in clouds, I never even saw a glimpse of its peak. Very touristy and a little kitschy was Ham Rong Mountain that looked more like a resort than a mountain with its gardens and paved steps leading to a viewing point that had spectacular views of its iconic peak. 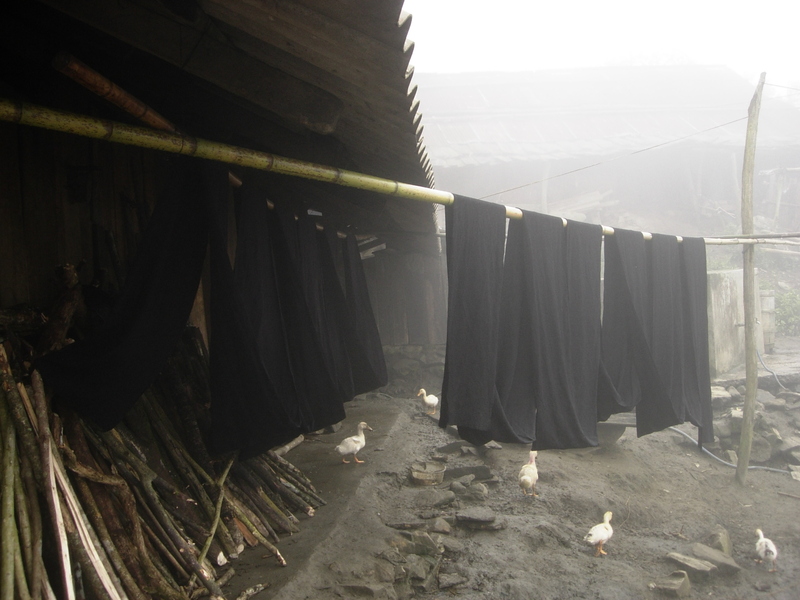 With names like “Heaven’s Gate” and “Cloud Deck” it could vie with China’s Hangzhou for its poetically named sights. My favorite spot was the forest of limestone boulders near near the viewing point. A longhouse charged admission for song and dance performances but it all sounded very touristy to me. 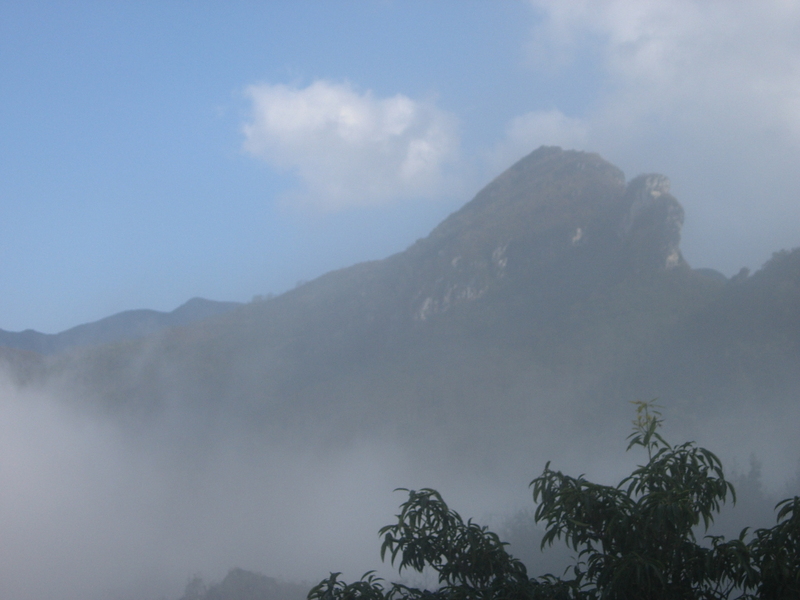 I only did two treks which I arranged with the hostel ($20 for Y Lin Ho-Lao Chau-Ta Van) and with a tour operator ($35 for Ma Tra-Ta Phin). 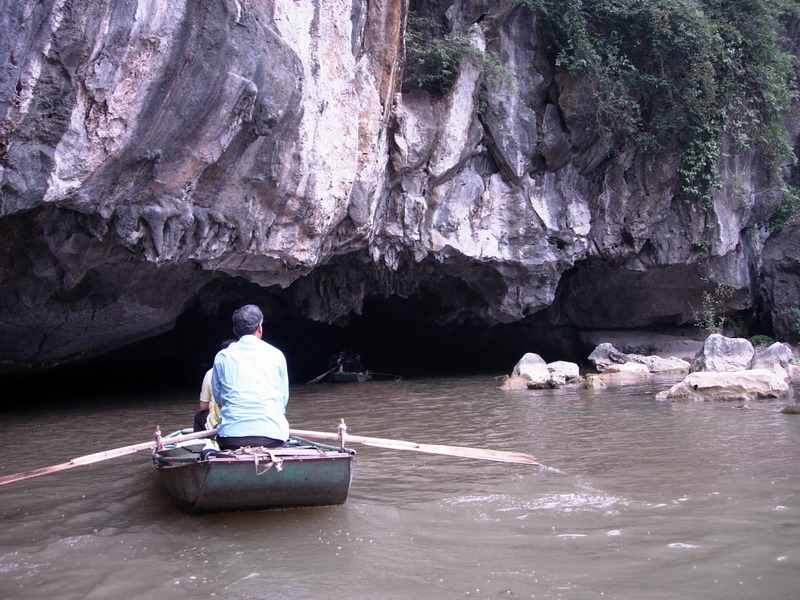 I was told that the Y Lin Ho route was the only being offered as the rest were private tours which meant you had to form your own group. That accounted for the expensive Ma Tra-Ta Phin trek as I was alone. 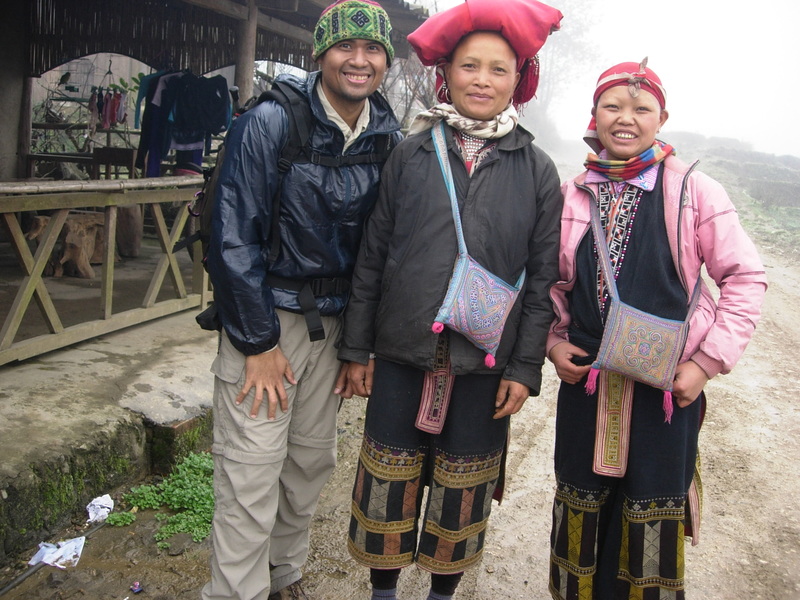 The guide picked me up at the hostel the next morning for the trek to the villages of Y Lin Ho, Lao Chau and Ta Van. I was joined with two young Swedish girls who were on a gap year from university studies. 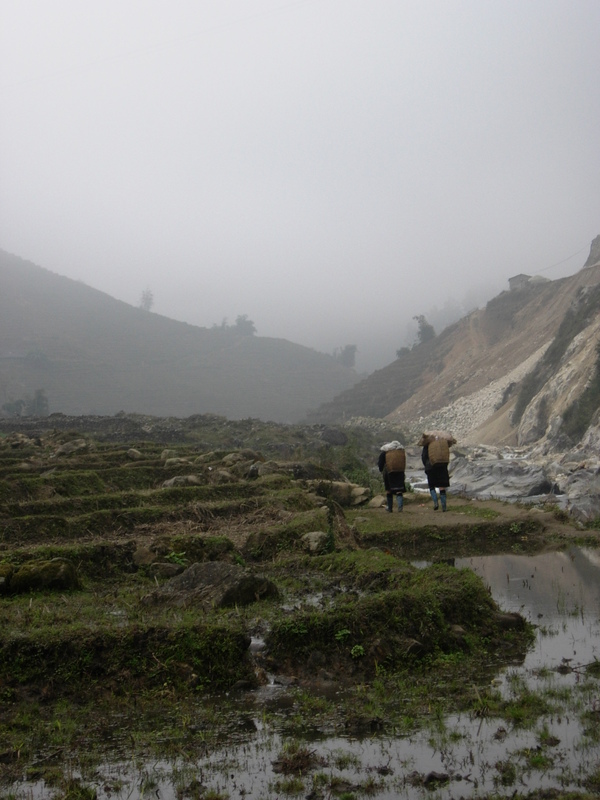 Far from being alone, we were just one of a hundred other groups trampling the villages. We got to the turn-off to Y Lin Ho where our guide paid the admission. The place was swarming with people getting ready to descend the steep path to the valley. 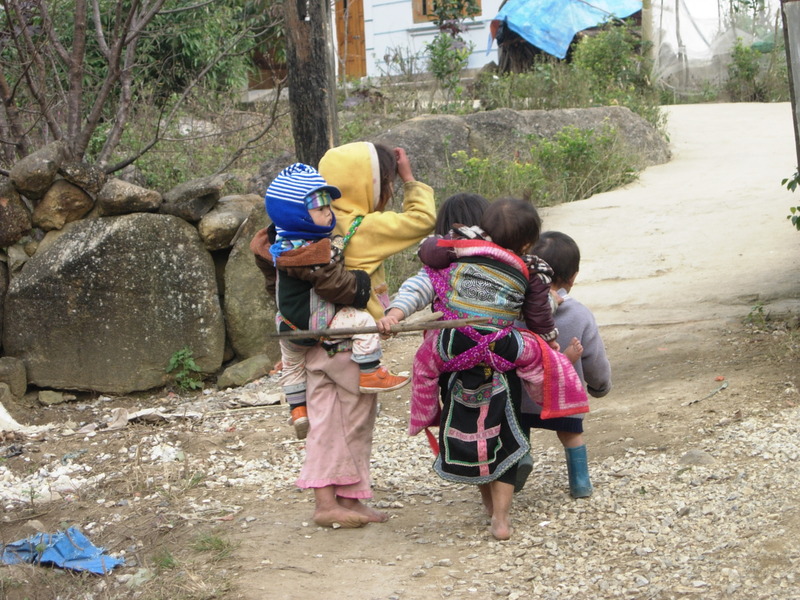 Children were selling long sturdy walking sticks for 20,000 VND. I brought my trekking pole but never saw the need to use it during the entire hike nor the one the next day. The distinction between the villages were blurry as there were no demarcation that indicated where we were except the school in Lao Chau where we stopped to watch kids sing some songs. They were really cute but I was just wondering the impact of our visit to them. We had lunch at a restaurant along the river in Lao Chau where we had instant noodles with fresh vegetables. We had been walking for three house and were so hungry we just gobbled everything up. A few meters after the restaurant was the Sapa O’ Chau cafe and restaurant which I had come across from one of my internet researches. 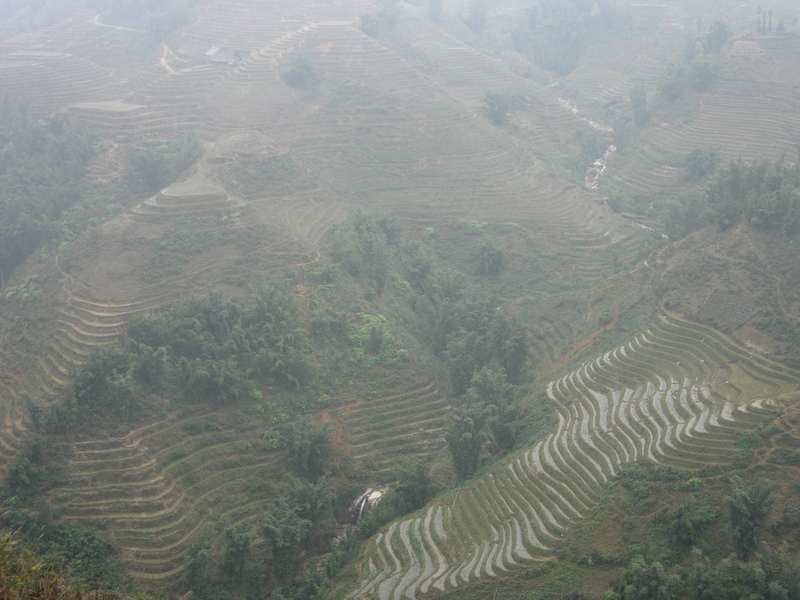 I couldn’t really say that the walk was spectacular because fog mostly kept whatever terraces or valleys could be seen. Or maybe because it’s something I’ve seen before back at home. Or maybe because there were just so many people treading on the same path. 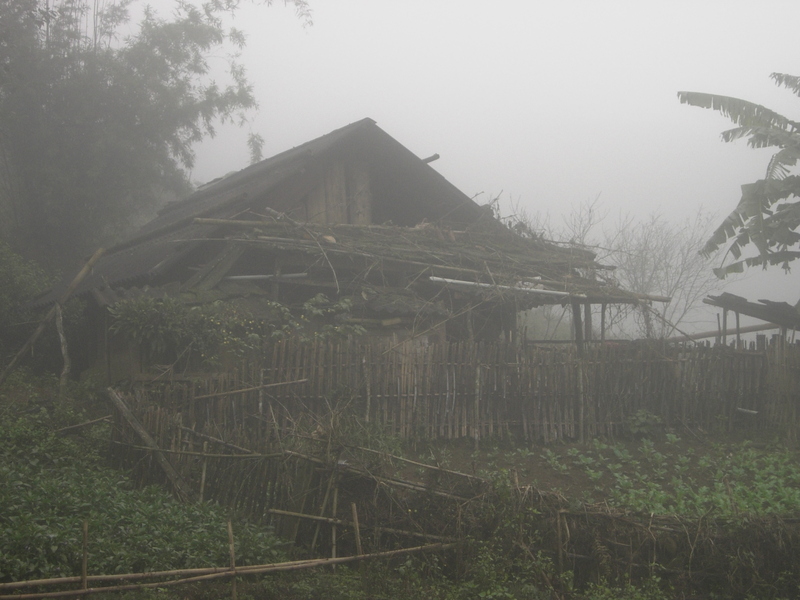 I liked that I was hiking at least and able to see the traditional wooden houses of the Black H’mong. There wasn’t much gains in elevation and in spite of some slippery and steep descents to the valley, particularly in Y Lin Ho, it was a really easy hike that anyone without any experience or regardless of age (as long as reasonably fit) could take. 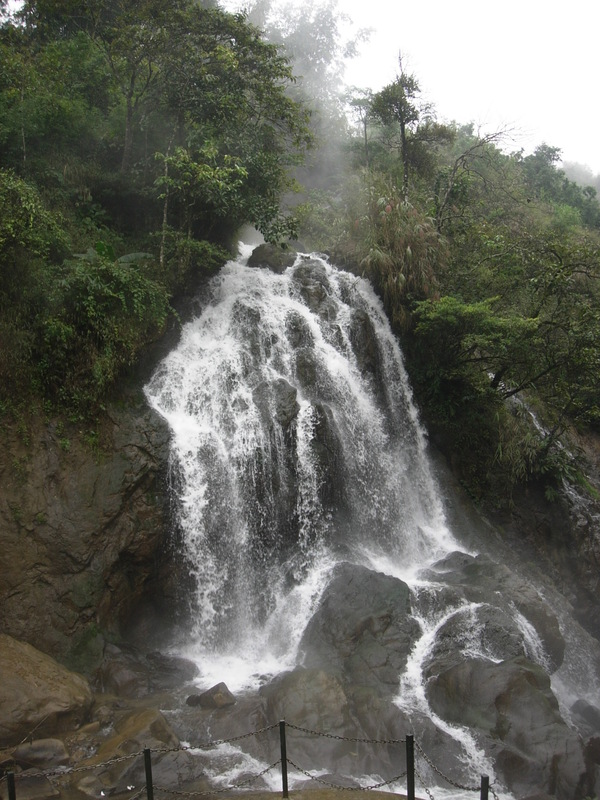 The walk to Ta Van was less interesting. We passed by some home stays that looked like they were set-up for tourists. 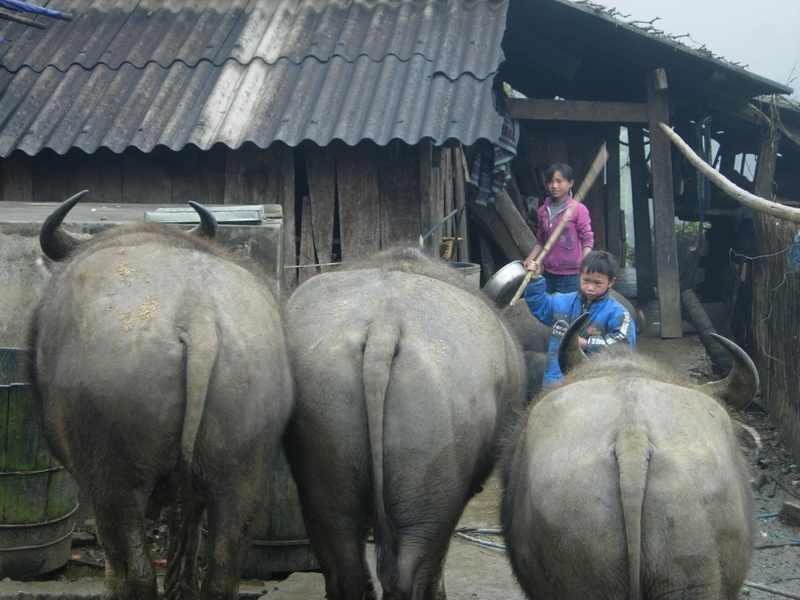 I boarded a van that was to take me back to Sapa as the two girls were going to overnight at a home stay. 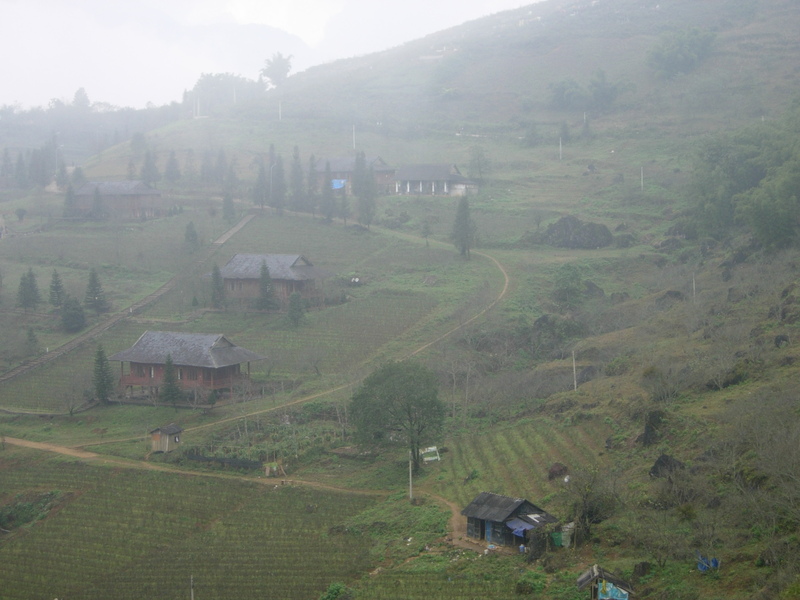 Cat Cat is the nearest village to Sapa. 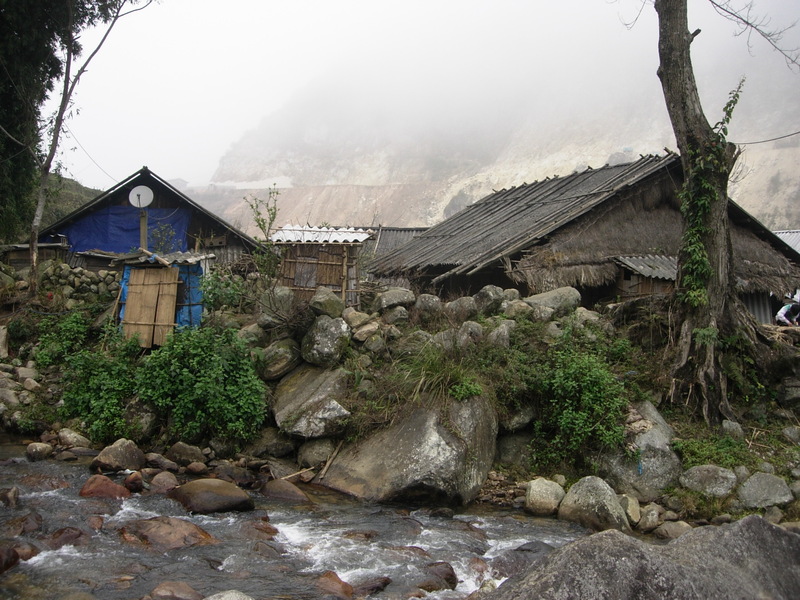 I went to the place twice— on my first and last days at Sapa. Very touristy with stone steps that led into and out of the valley, Cat Cat seemed more like a park rather than a real village with real people going about their daily existence. Tourist stalls lined the path but at least the vendors weren’t very persistent. There was a 10,000 admission fee collected about 10 minutes to the village entrance. 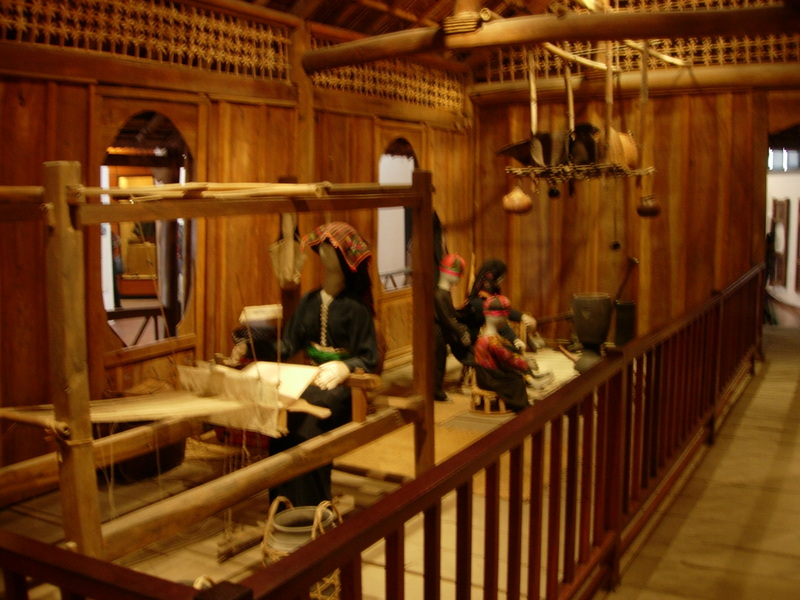 A traditional clay house had also been converted into a workshop but there wasn’t any activity going on. The Black H’mong are famous for their blades and it would have been interesting to watch someone at work. Shake your booty shake your booty c'mon! 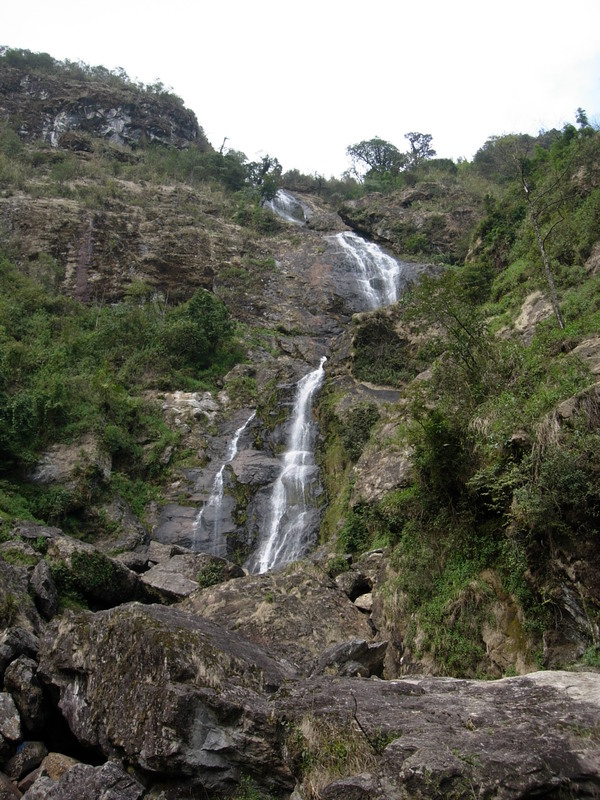 Steep steps led all the way down to the waterfall, the focal point of the village. Food stalls surrounded the viewing deck. Steps behind the small theater led to Fairy Stream which made for a nice walk away from the crowd though there’s nothing much to really see except the water that wound itself around some cliffs and lots of vegetation. Maybe I should have joined the three H’mong guys I met at the trail who with their bows and arrows looked like they were heading out to hunt. The apple wine being sold at the small eateries near the waterfall was deliciously sweet and tangy and cost 20,000 a shot. 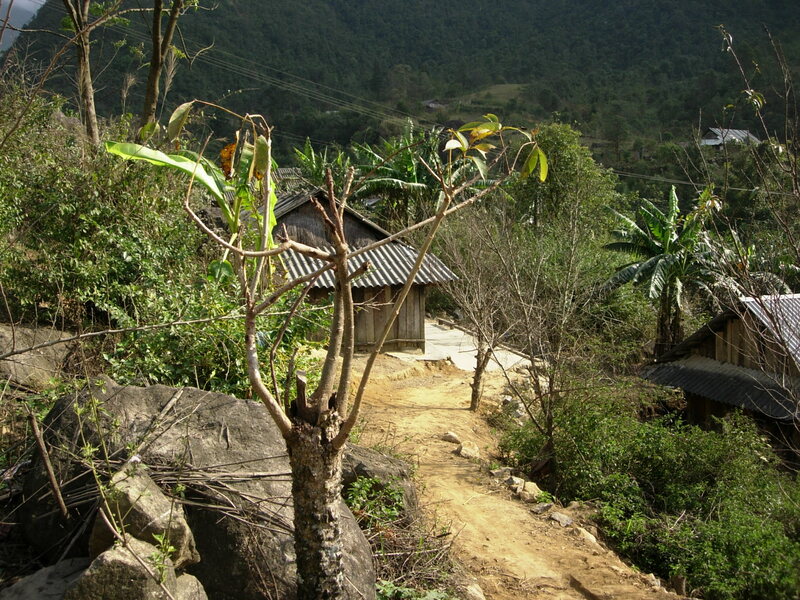 A better hike was at Ma Tra and Ta Phin with a private guide–a local Vietnamese who was a former elementary school teacher. He picked me up at the hostel and we made our way to the main road past the lake where we abruptly turned right to a trail. My guide was a cool guy but not as chatty as the previous one. 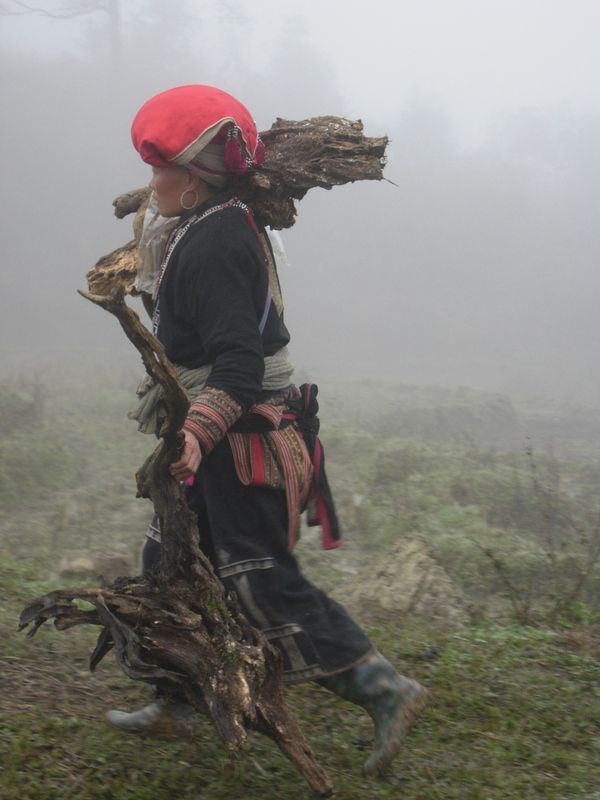 He did walk quite fast and at times I had to catch up with him lest he disappears in the thick fog. 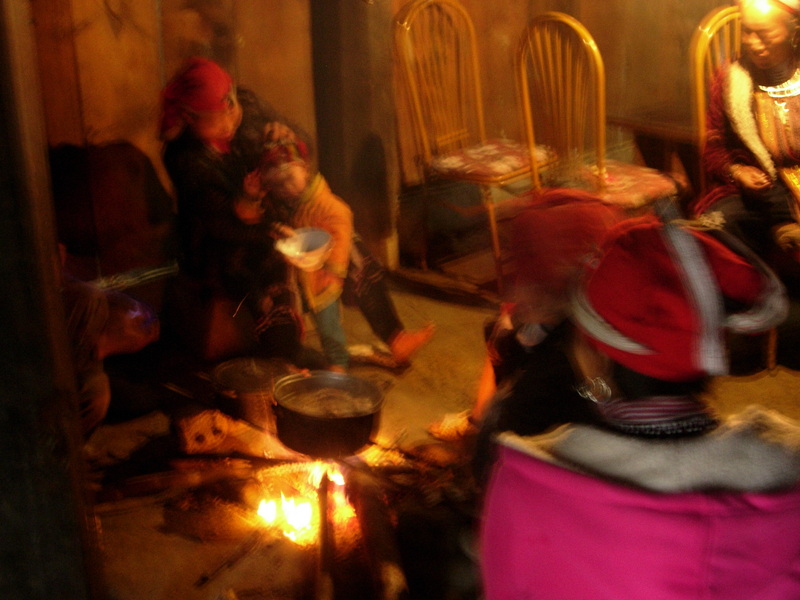 It took about an hour and a half before we reached the first village in Ma Tra where we visited a house. 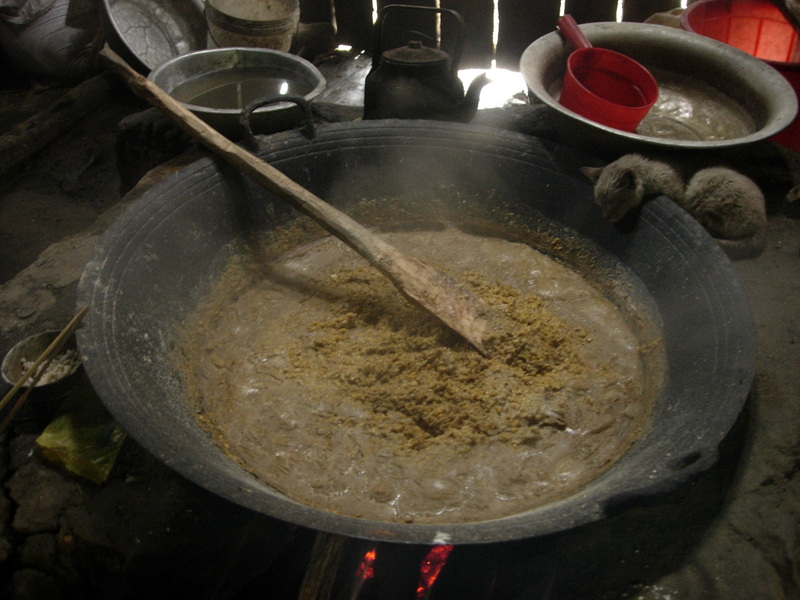 An old woman was cooking some pig food in a large vat in a corner of the house near the doorway. We sat around a fire while my guide made conversation with her. I was a little embarrassed as I had nothing to offer to the woman as a gesture of thanks. My guide assured me however that it was okay. 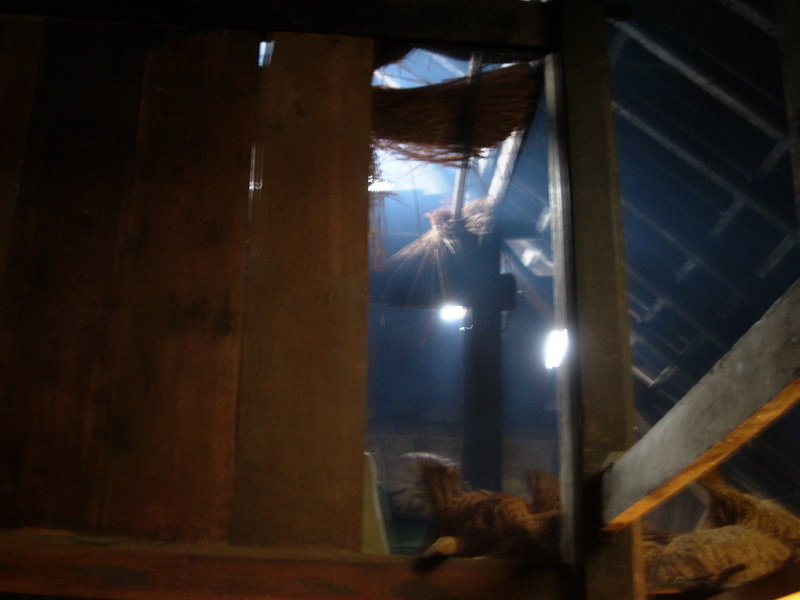 The house was dark and smoky and I was seated near an alcove which functioned as a bed. 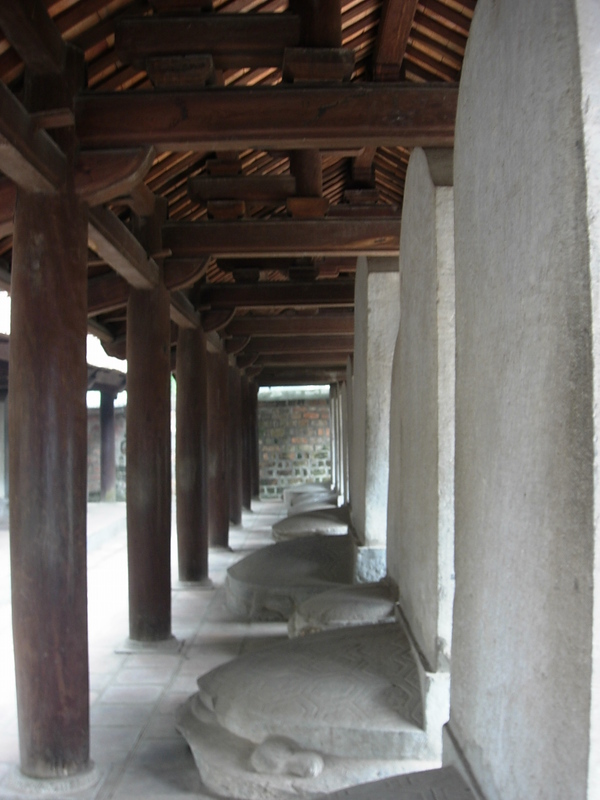 It was a one-room place where eating, cooking, and sleeping was all done on the ground floor as the second level was used for storage. It’s amazing how the guides could lead the way out from the maze-like stone paths in the middle of the fields. 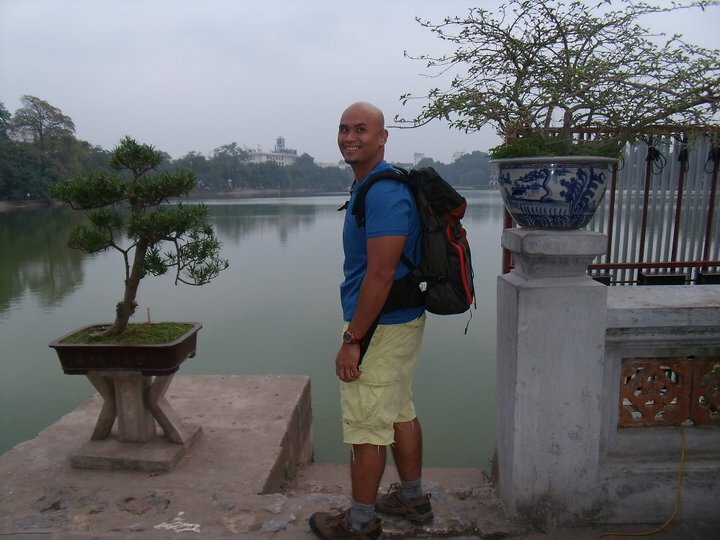 I was alone most of the time especially in Mantra and it was only in Ta Phin where I came across other tourists. 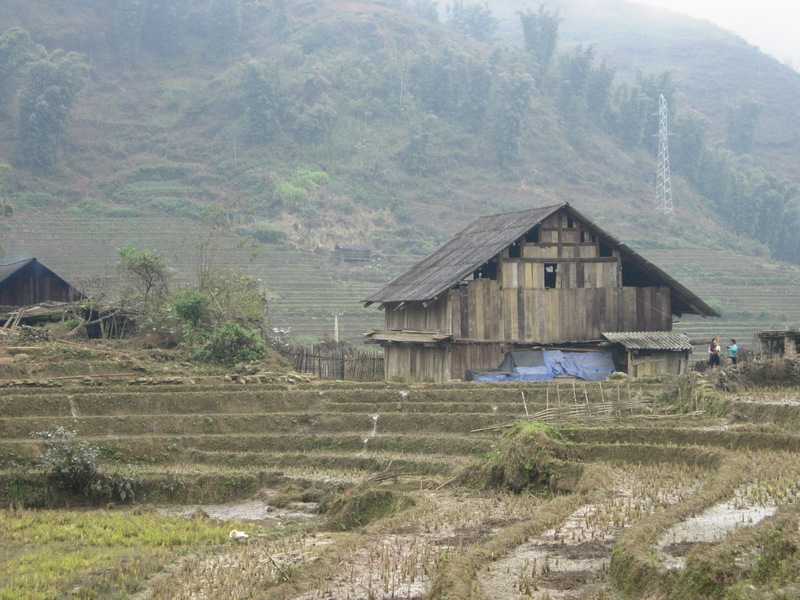 The feel was more authentic and there wasn’t any of the strong-arm tactics I experienced in Sapa. We stopped at a Vietnamese house in Ta Phin for lunch. I was served noodles with fresh vegetables again. 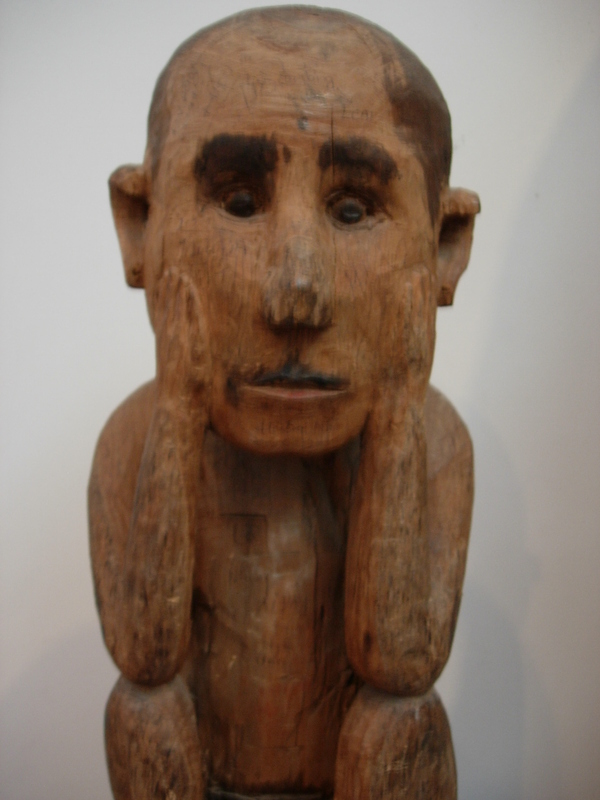 I sat at one of the benches and tables outside gracefully carved from large trunks of trees . Three Dzao women came-up to me to sell me some stuff . Hearing my protestations that I had already bought some Dzao stuff at Sapa, they insisted that I buy from Ta Phin for more authenticity. They did have a point. I bought a small pouch from each of them. Two others came along but I politely declined saying that I had already bought earlier. “Here in Ta Phin?” they asked. They sure do know how to sell. But they were also very polite and didn’t bother me. “It’s okay if you do not buy. Enjoy your meal,” one said as they bade farewell. 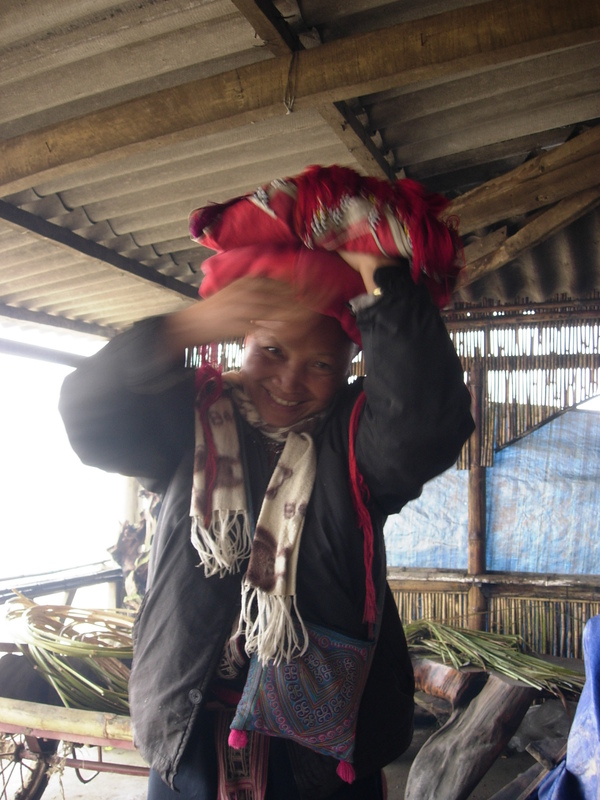 Red Dzao women at Ta Phin. The one on the left showed me how the head dress is worn. A more modern head dress is the one worn by the woman on the left. She says it's less cumbersome. 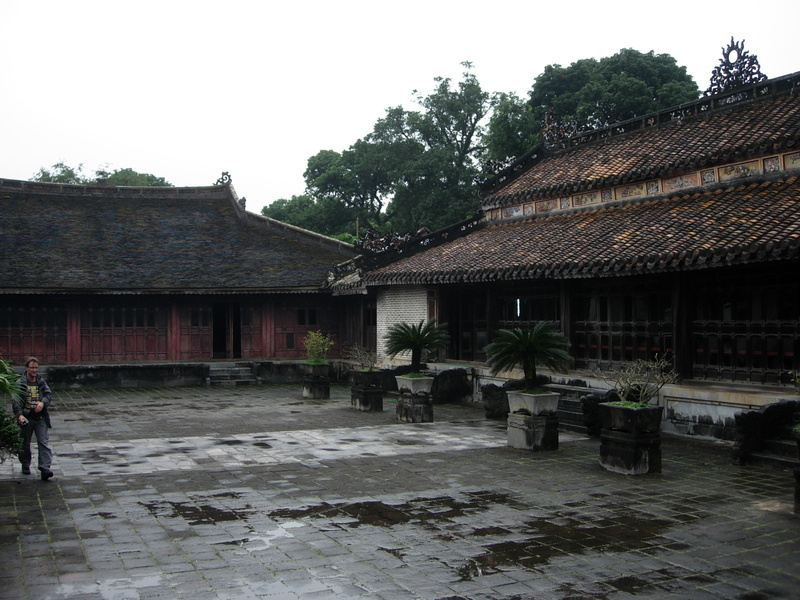 The Dzao house we visited was larger than the H’mong house in Matra. There were wooden tables and chairs though we all sat on low plastic stools around a cozy fire where a pot with some innards was simmering and above it a piece of meat was being smoked. A couple of vendors had followed us inside and we all sat around the fire with the elderly woman who owned the house. Her son and his wife with their two little kids were also there. I was hesitant to buy it as it could be irreplaceable and her husband might get angry. The other women, however, assured me it was all right as she could make another one for her husband. I wonder how he would react when he gets home later in the day and looks for it. I asked to see a musical instrument but they didn’t have one. The guide said another family had a large flute but it was not for sale. I told him I had no intention of buying it if it was the only one they had. It was a short walk to what seemed to be a village square fringed with souvenir stalls and a parking area. A large crowd of women were there ready to pounce on tourist-laden vehicles that were arriving. The mini bus picked me up around 8 in the morning and as soon as I got in, I suddenly remembered why I disliked tours in the first-place—-too many people in a cramped bus! I took a seat right where the tire of the bus is which meant it was one of the tightest on most uncomfortable. I took pity on the teenager whose knees were on his chin already when he had to move to the window seat to make way for me so I changed places with him so he could at least stretch his legs on the aisle. Our guide spoke relatively good English (read: we could at least understand his diction) and was quite well-versed with the sights. Our first stop was an incense and conical hat workshop along the road to the tombs where we spent about 10 minutes just browsing around. 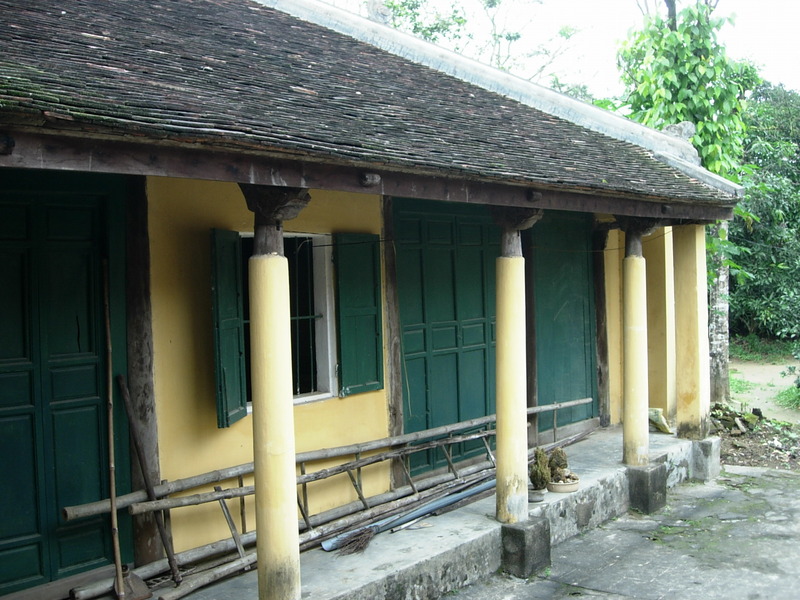 The pavilion where Tu Duc would sit with his concubines and recite poetry. To Be Entombed Royally. 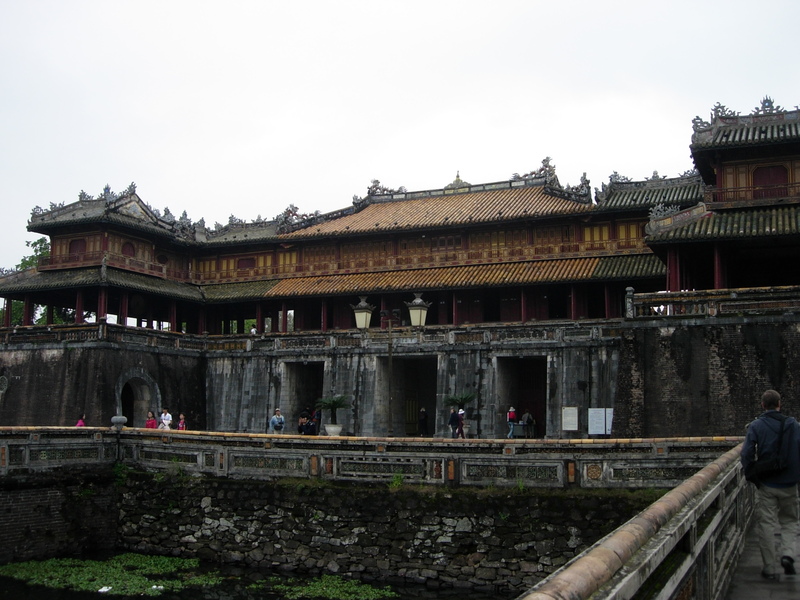 Boldly challenging the idea that all material possessions are left on earth when one dies, the royal tombs of the Nguyen emperors are magnificent complexes that stand as monuments to their power. 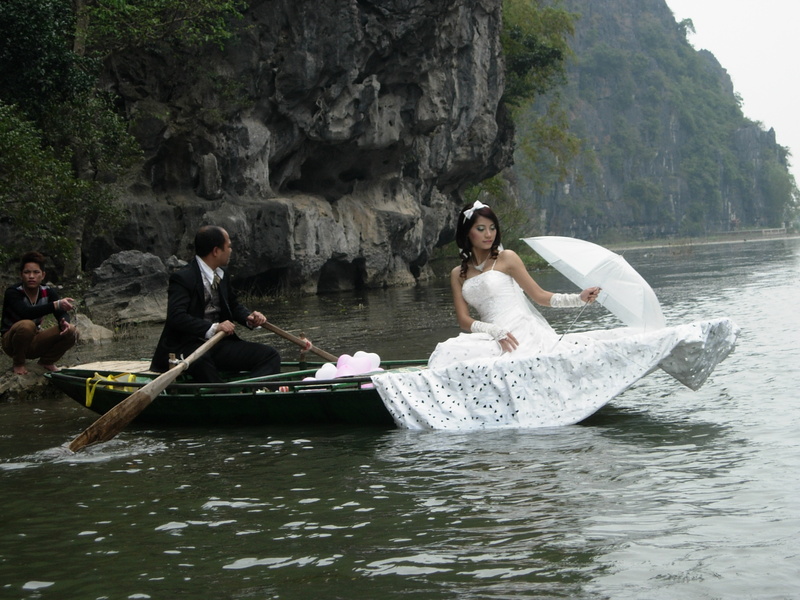 The Chinese have always gone off into the nether regions in style and the Vietnamese surely are not to be left behind. 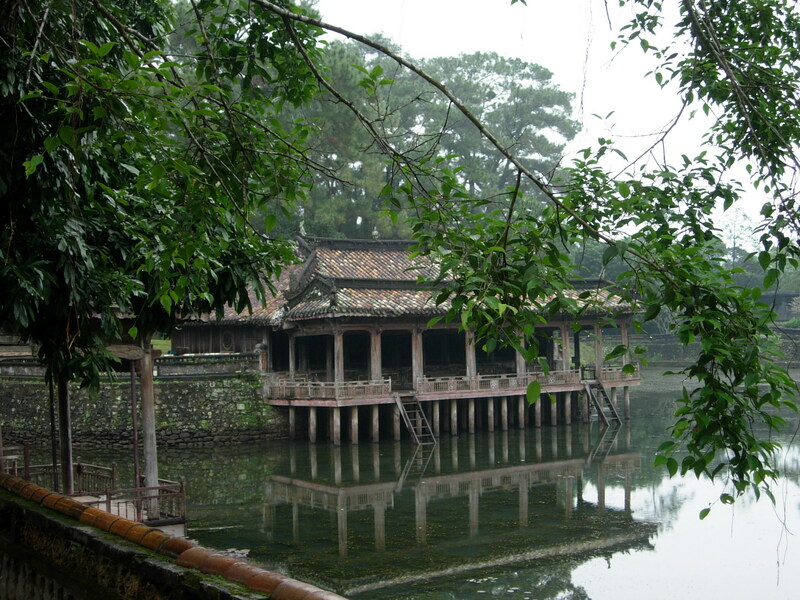 Only three tombs are open to the visitors and they were all palatial grounds with beautiful temples to worship the emperor and the empress , spacious halls, ancient stelles that glorified the emperor, leafy esplanades, quiet lotus ponds, and courtyards with stone mandarins and soldiers standing silently. They all reminded me of the beautiful gardens of Suzhou in China. It is easy to lose one’s self in the complexes for some leisurely walking or even finding a favorite spot for some Zen-like meditation. 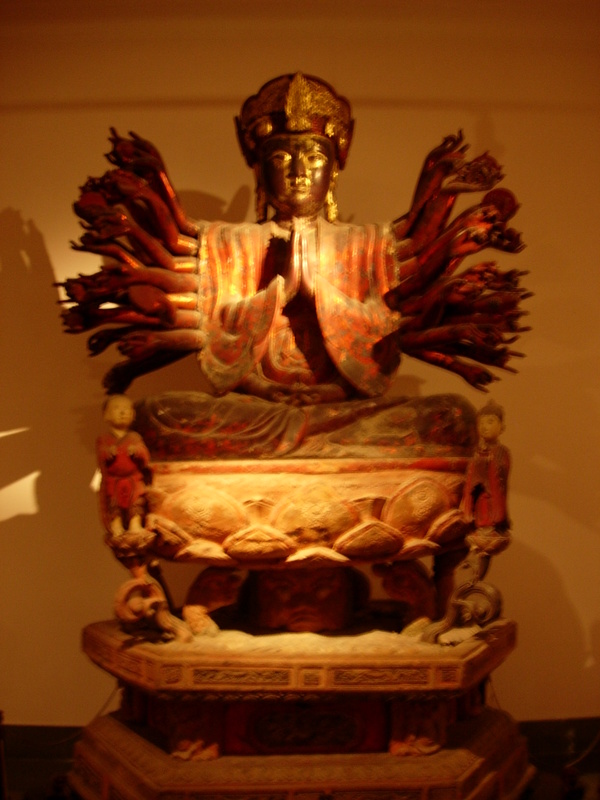 Most majestic of all was that of Tu Duc who had more than a hundred wives and concubines but was without offspring. As our guide said, “with all the women around him he was unable to make anyone of them happy.” Not only was the complex huge but it was very serene and leafy with its large ponds and walkways lined with pine trees and frangipani. 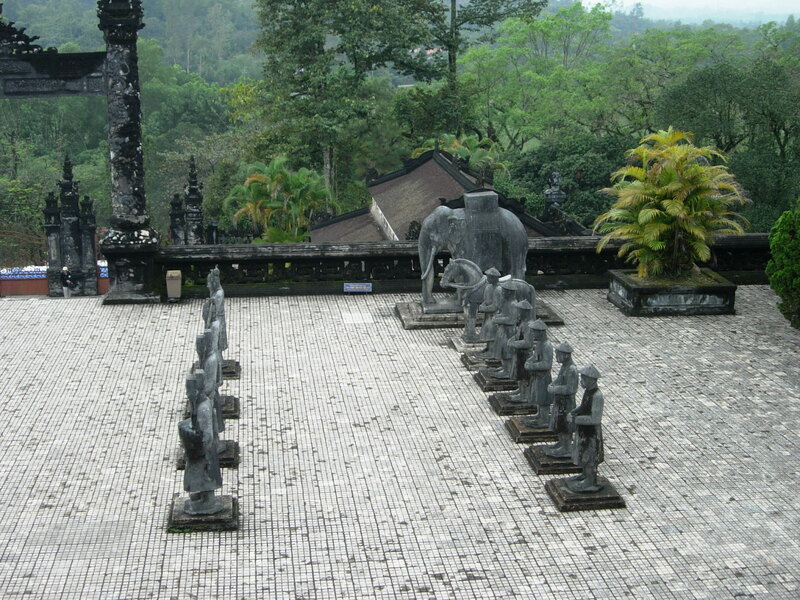 The complex was designed by the emperor himself and was used during his lifetime. 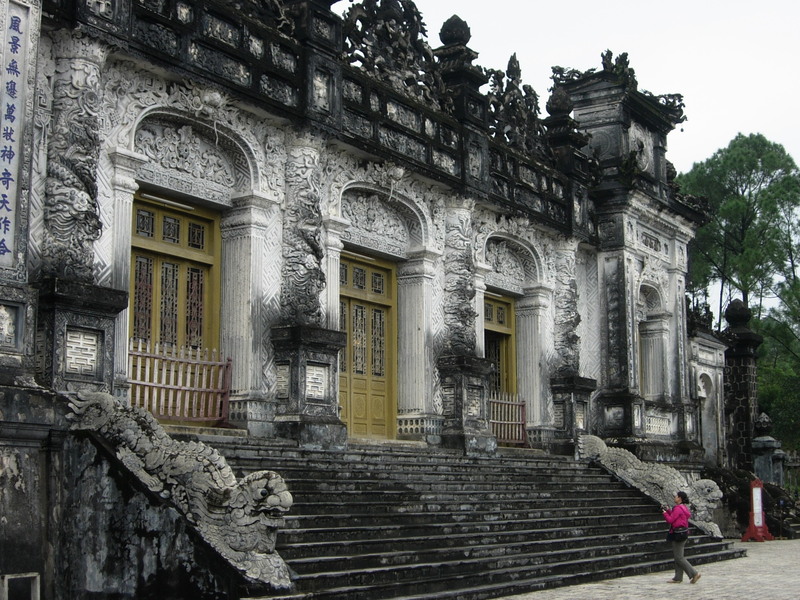 Rivaling it is the tomb of Mihn Mang with its stone bridges and temples that blended harmoniously with the natural landscape. 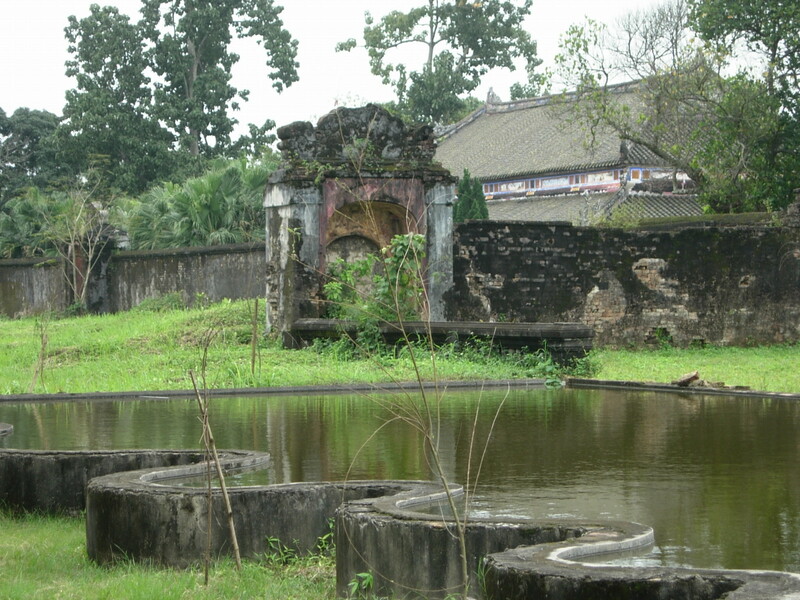 Unlike Tu Duc’s where everything seemed huge, and quite enclosed, almost citadel-like, Mihn Mang’s had a more open layout with bridges spanning ponds and temples set on terraces with the mountain as a natural backdrop. The tomb looked like it was growing from the hills, According to tour guide, Mihn Mang is the most loved of the three emperors as it was during his rule when the empire was at its most glorious. The beautiful central bridge laid of marble for use by the emperor only. What really took my breath away is that of Khai Dinh who supposedly (again, according to our guide) liked to play with men more than women. If that indeed were true, then it would come as no surprise that the effeminate emperor would have the most beautifully decorated and most unique tomb. 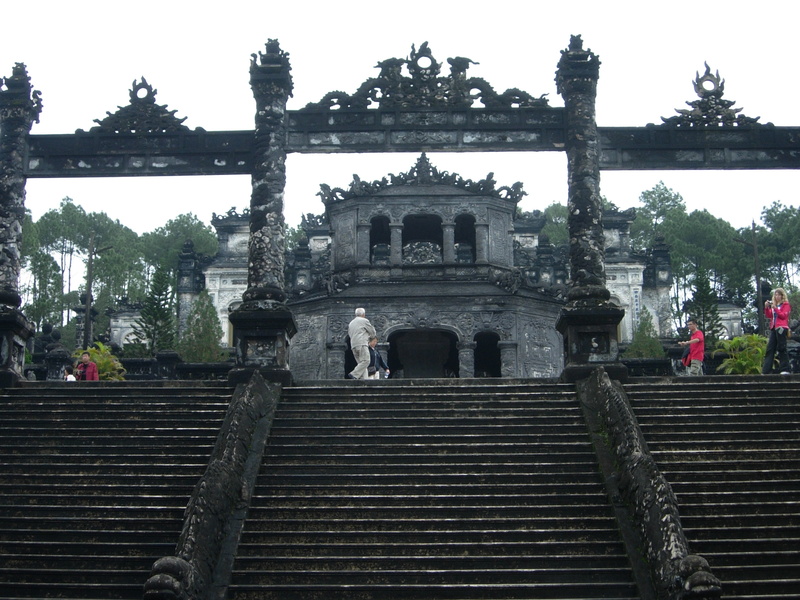 Looking like a gothic structure rising from the hills, the blackened concrete structures were wonderfully carved with intricate designs. 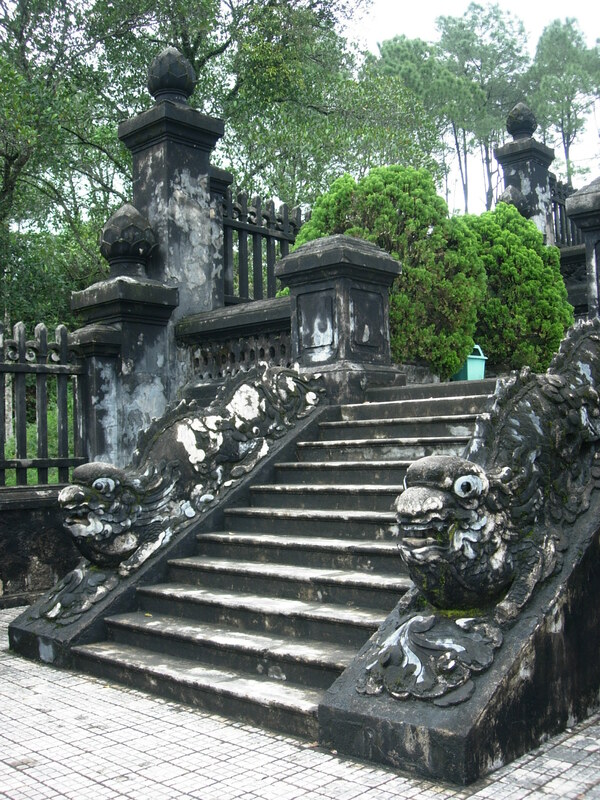 Visiting this tomb requires a lot of stair climbing as stone steps lead to different levels of the complex. Like the other tombs, it had a courtyard of mandarins that bore silent witness to the passing of years. The main building was jaw-dropping with its gilted walls and ceilings and on its center was a gilt bronze statue of Khai Dihn looking so regal. The interiors would not be out of place in a European palace. 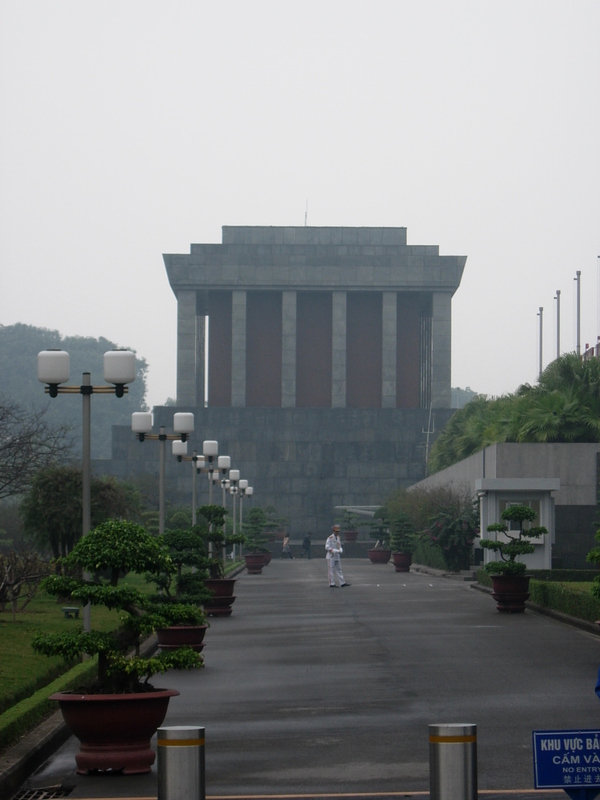 Khai Dinh’s tomb was the last of the tombs we visited and some people opted to just stay outside its gates. 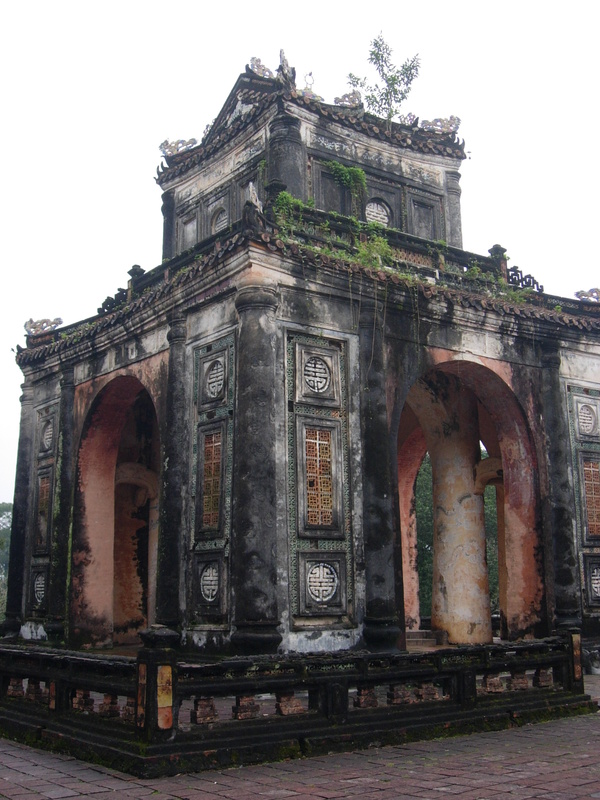 The tombs are set on the countryside among quiet villages by the banks of the Perfume River outside the main area of Hue which made for a nice diversion from all the noise of the city. It was way past lunch time when we arrived at the Stop & Go Cafe along the main travelers drag of the city. The food had grown quite cold by then and we all rushed to the buffet table for some fried rice, noodles, vegetables, prawn crackers, soup, and tofu. The food was quite bland but extreme hunger can make everything taste good especially when you just gobble it all up. Burp! Wouldn't you like your own reading room in the Forbidden Purple City? The City Within the City. Walled cities are always interesting because of their rich heritage and their unique layouts. The Citadel is a lively city with its old neighborhoods spread around its perimeters. 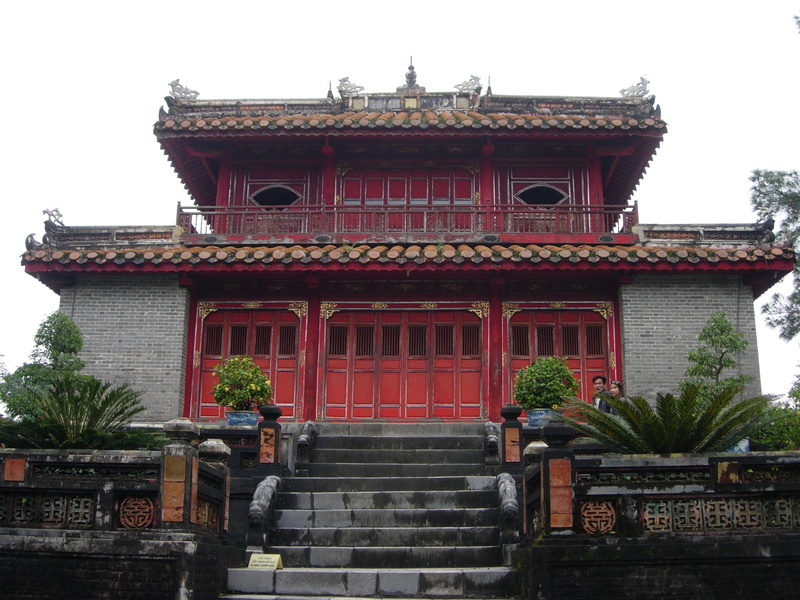 Within it is the Imperial Enclosure housing the royal residences and buildings and accessed via the imposing Ngo Mon Gate facing the Flag Tower. 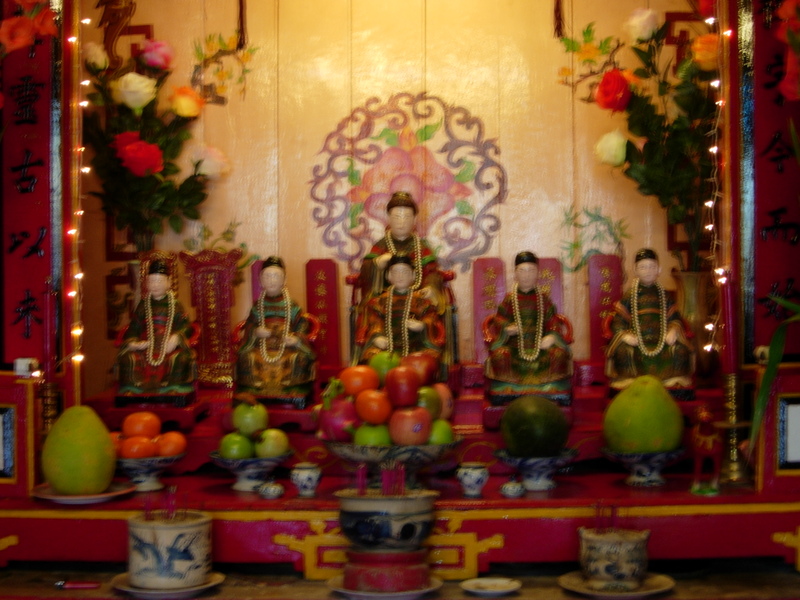 Color coding was well and alive during the time of Emperor Gia Long who built the Citadel. Anything yellow references royal use. Hence, the yellow entrance at the center, was reserved for royalty. Today, it was the entrance for the locals. Foreigners use the left entrance. 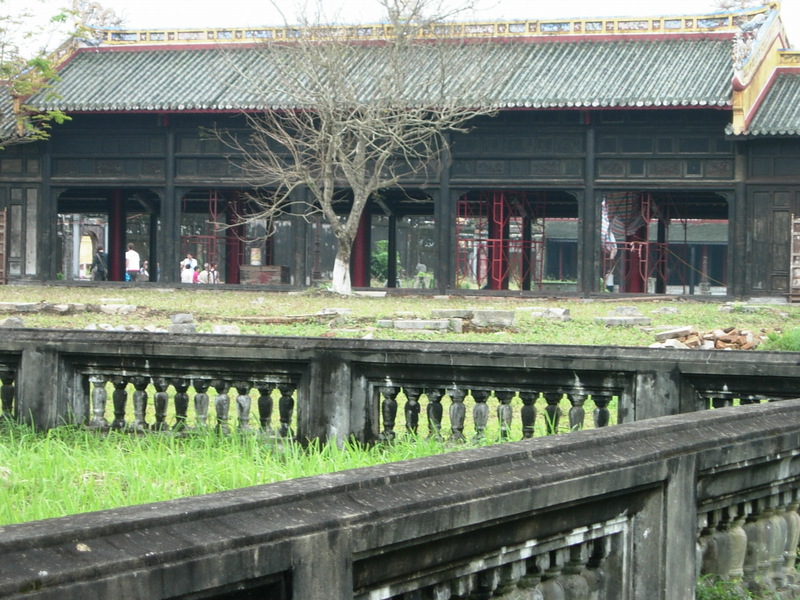 At the heart of the Imperial Enclosure is the Forbidden Purple City which is sadly no more than some crumbling walls and a couple of beautifully restored buildings like the Royal Theater which has shows on Hue’s royal music and dance and the Emperor’s Reading Room. There was a lot of restoration going on and walkways were being built. I wonder of the reference to the color purple. I can imagine the city resplendent with the color of yam. Makes me crave for some ube ice-cream. We only had an hour to explore the Citadel so it was more of a mad dash to try to take in the large complex. I did manage to climb up the top of Ngo Mon Gate for beautiful views of the Citadel. Again, I was reminded of why I disliked joining tours— you’re bounded by some schedule. 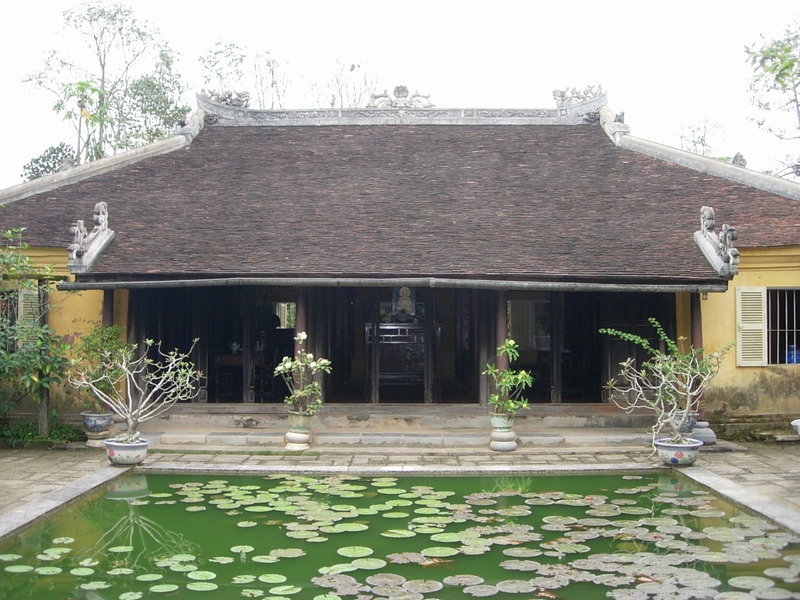 On the way to Thien Miu pagoda, we detoured to one of the so-called garden houses which Hue is famous for. 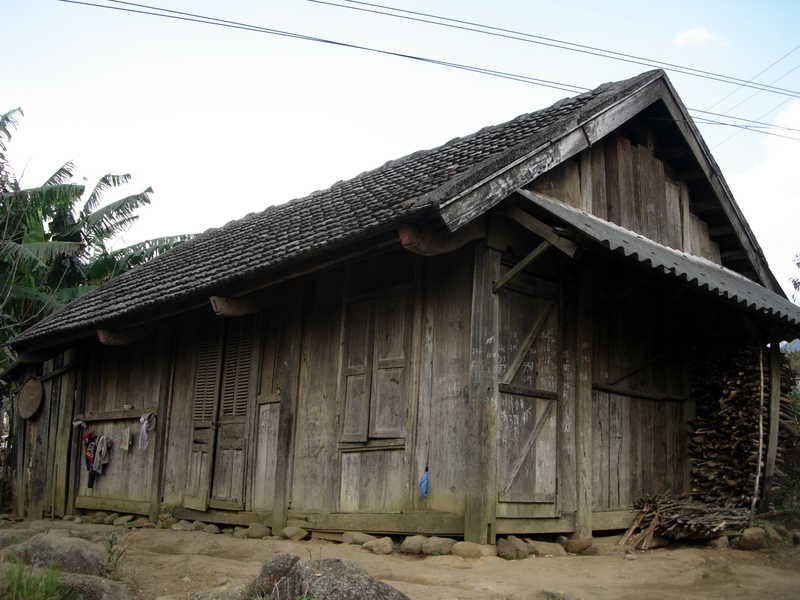 These houses are actually residences of well-to do locals such as the mandarins (court advisers). 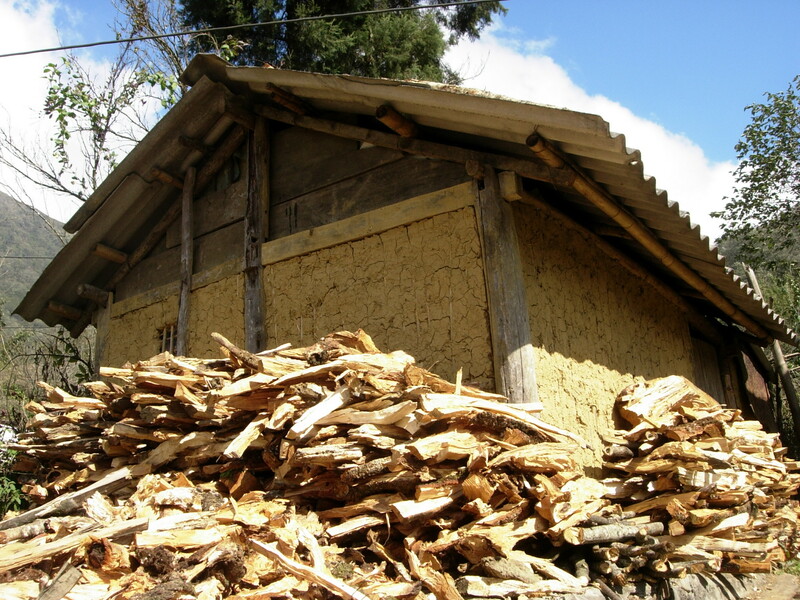 They’re traditional wooden houses beautifully crafted and surrounded by a garden. The one we visited was quite small. The center of the house is dominated by an altar while the hallway on both sides had tea tables. Men stay on the left while women to the right. 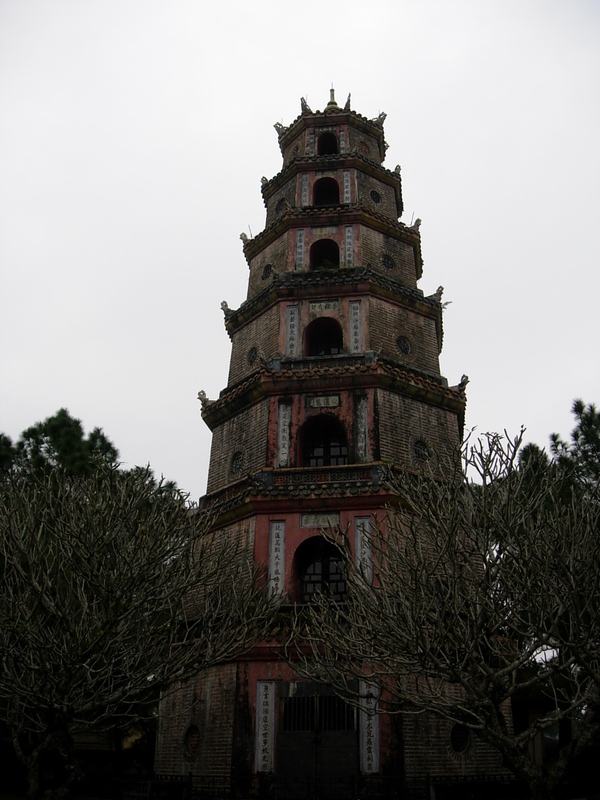 Final stop was the iconic Thien Miu Pagoda along the Perfume River. 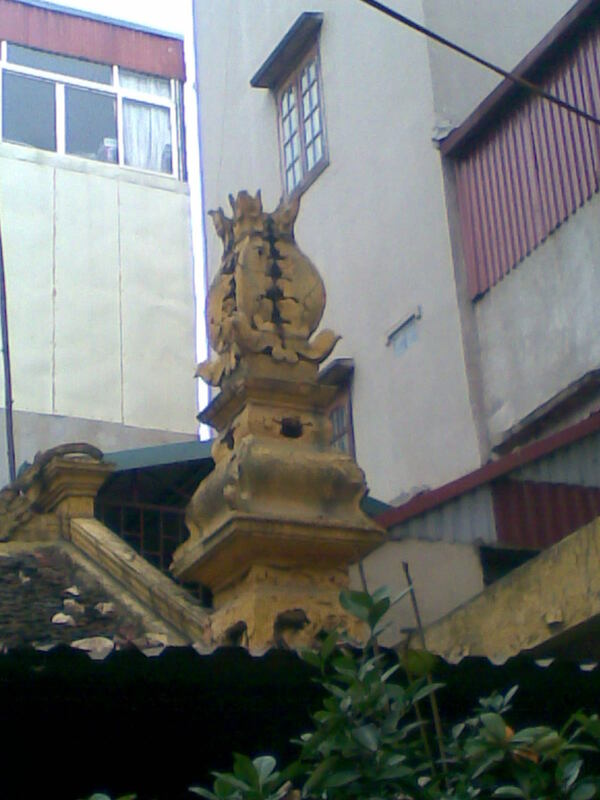 The pagoda itself cannot be accessed inside. More interesting was the monastery behind it with its serene garden and novice monks trimming the bonsai plants and sweeping the courtyards. 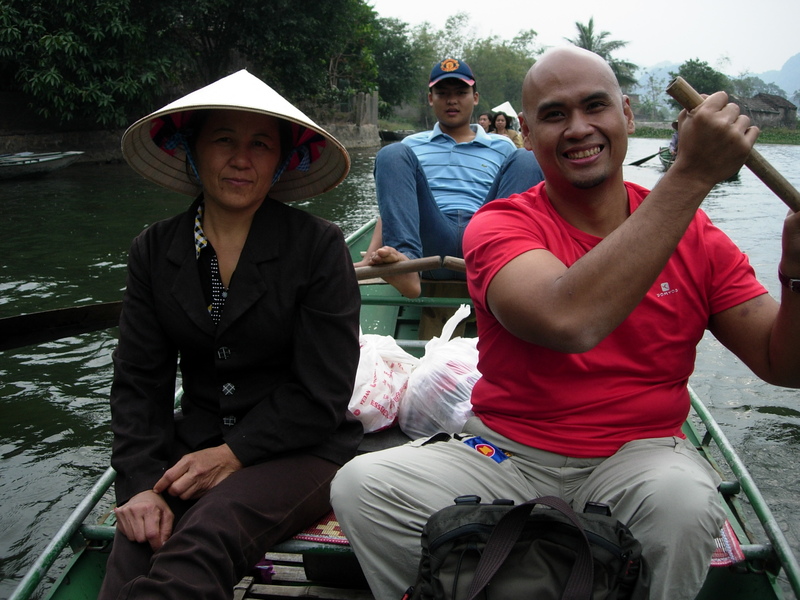 We boarded a large boat for the ride back to the city where we disembarked at the dock near the backpacker district. It was a scooter really and not a motorbike. But it still ran on two wheels and we were in Vietnam, not exactly the best place to start conquering your fear of riding a motorbike, okay, at least, a scooter. But I guess, even dangerous things start having a life of their own once you start seeing more and more of it. And in Vietnam, riding a bike seems de rigeur, especially for tourists. I was ALMOST tempted to try one at Hoi An, touted to be one of the safest places (read: slow drivers) for bikes. On the highway from Danang I did notice that everyone seemed to be going at a slower pace. Well, after the craziness of all those maniacal motos at HCMC, everything just has to look slower. But if even the moto drivers in Hoi An are less pushy, then there must be really something. I literally threw all caution to the chilly wind as a climbed behind Quan when he picked me up along Ly Quan. 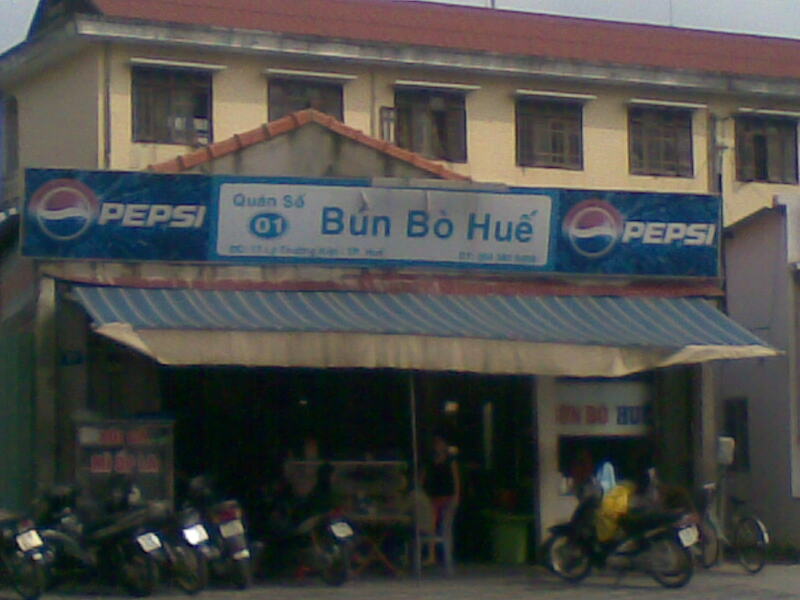 He promised me a good dinner of all those bahn specialties of Hue I have read all about. I also made him promise me to drive slowly and to keep looking at the road as he had the tendency to look at me whenever he said something. Thankfully, it was past 7 in the evening and the traffic was very light. As we rode along the streets, my nervousness slowly dissipated. There was nothing to be afraid of after all or maybe it was because he was only going on a speed of about 30. From the main road, we turned right to a small lane and stopped in front of a tiny house-eatery that was just about to close its doors. The only indication that it served food were the words bahn painted red on the glass. Quan said something in Vietnamese and the lady let us in. 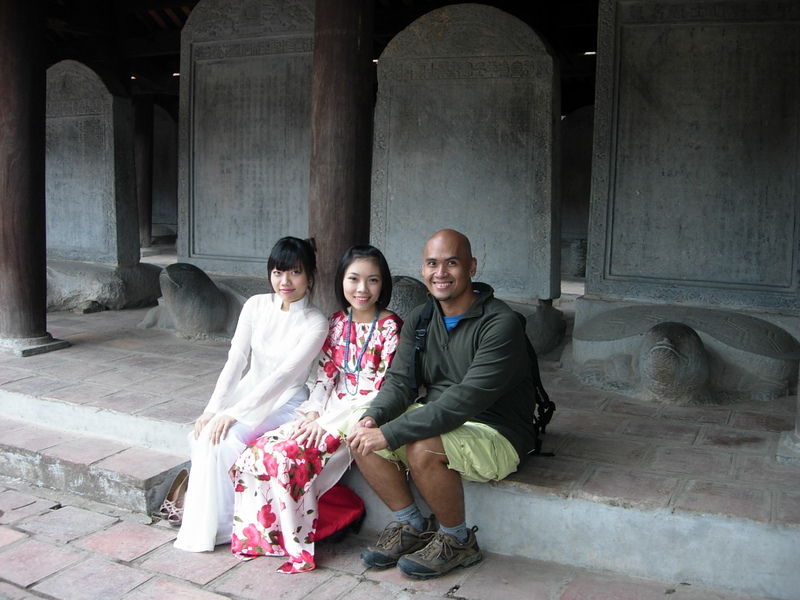 They were closed already but he knew her and he asked her to open up as I was a foreigner, Quan explained. I was a little embarrassed though quite surprised as it as only seven in the evening. What would normally be the living room was the dining area. We sat at the only wooden table. Small tables were folded and stools stacked against the wall. 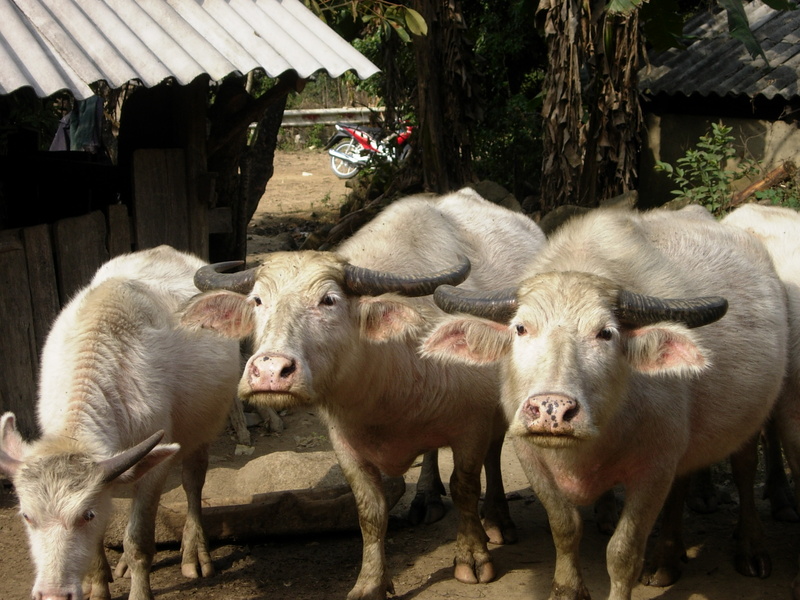 Who would have thought that such delicious morsels of food would come from the simple place. 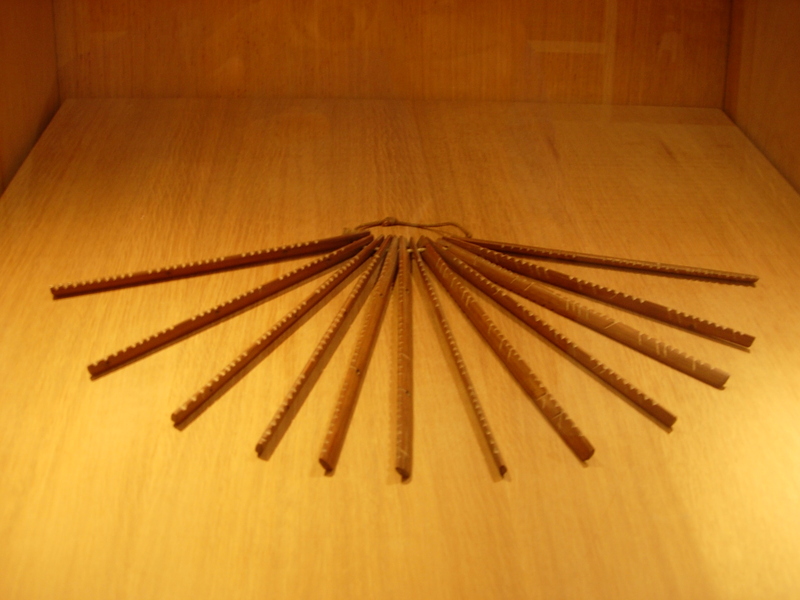 We were first served small parcels of a pinkish chewy paste called nem . It has a strange sour taste that grew on you. Next came a large round tray that held small saucers of ban bo topped with shrimp and pork cracklings and served with a sllightly sweet nuoc mam with chili. It was absolutely delicious! But the best was yet to come. Steamed leaves held a pasty rice flour topped with what seemed and tasted like chopped fish and shrimp while another was an entire shrimp encased in a thick sweetih paste. 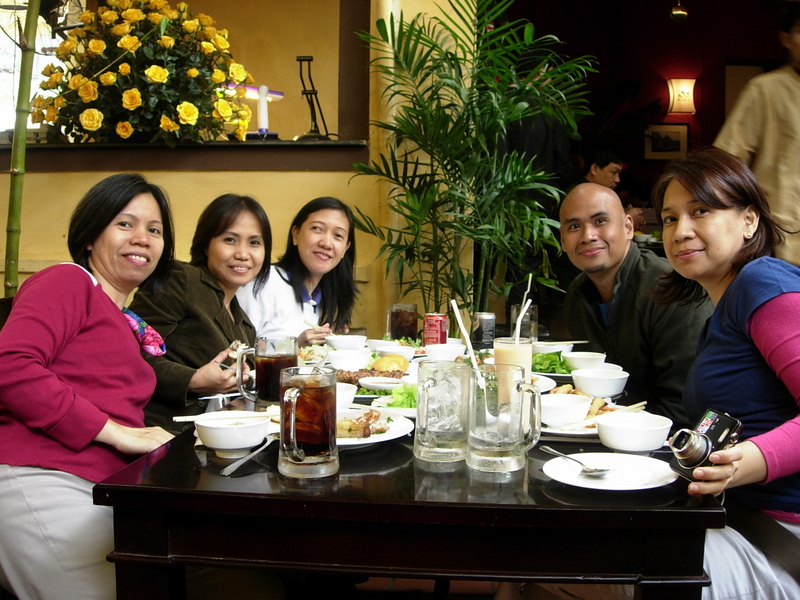 It was Vietnamese cuisine like no other! Very tasty! The entire meal plus a small bottle of water cost VD 100,000! It was worth every risk and fear I had to swallow with the bike ride. Stomach full and taste buds happy, I wasn’t as nervous anymore. We rode around the outside of the Citadel and on the side streets in the center of town. Even in the travellers area, there weren’t much people. I enjoyed the ride very much as I got to see parts of the city outside the tourist map. 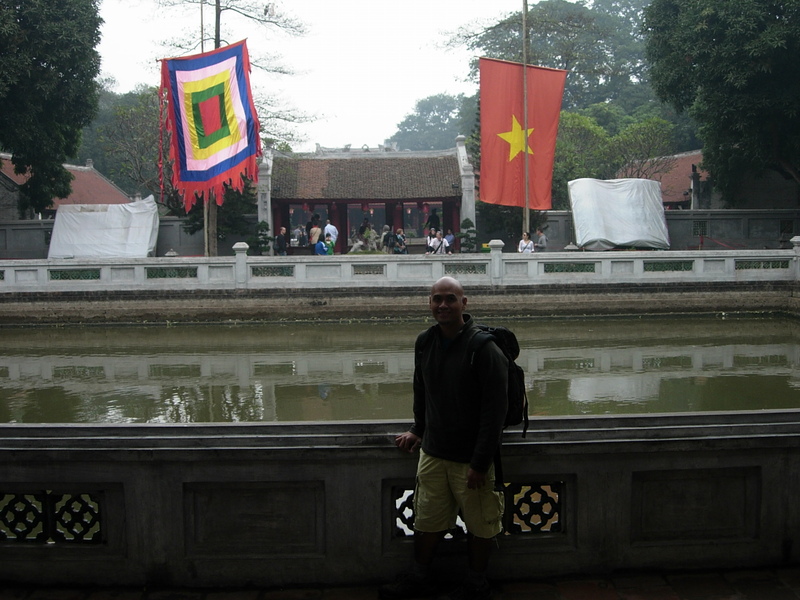 It was very cold though as it had been raining the entire day since I arrived from Hoi An around noon time. It’s a bit strange to associate a certain color with a town. But whenever I remember Hoi An I remember a town beautifully bathed in the varied hues of red. I arrived at this ancient town, a short flight and taxi ride from Danang away, just as dusk was settling and the town was lighting itself up. 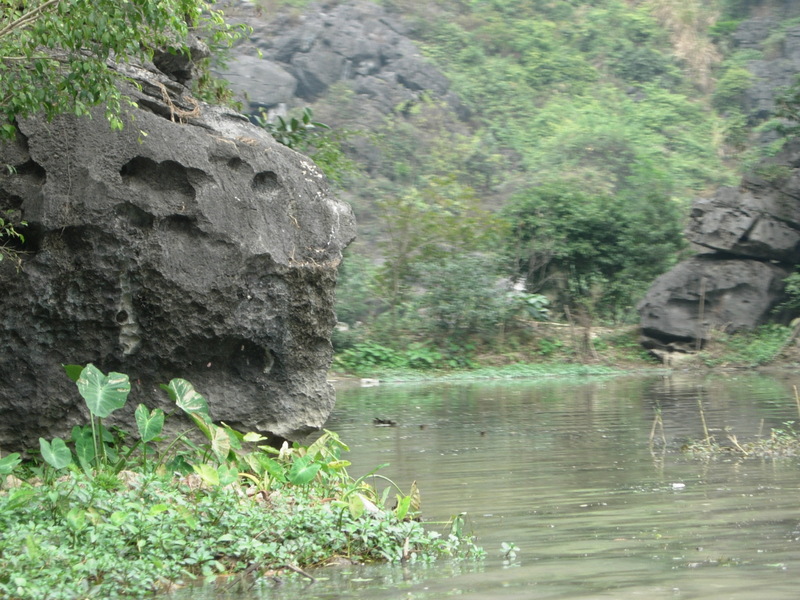 Meandering along the small streets that wound around found myself at the Thu Bon River. I heeded the call of one of the cau lao vendors who had set-up Lanterns festoon the shops and the Thu Bon river is lit-up colorfully with lights and lanterns. 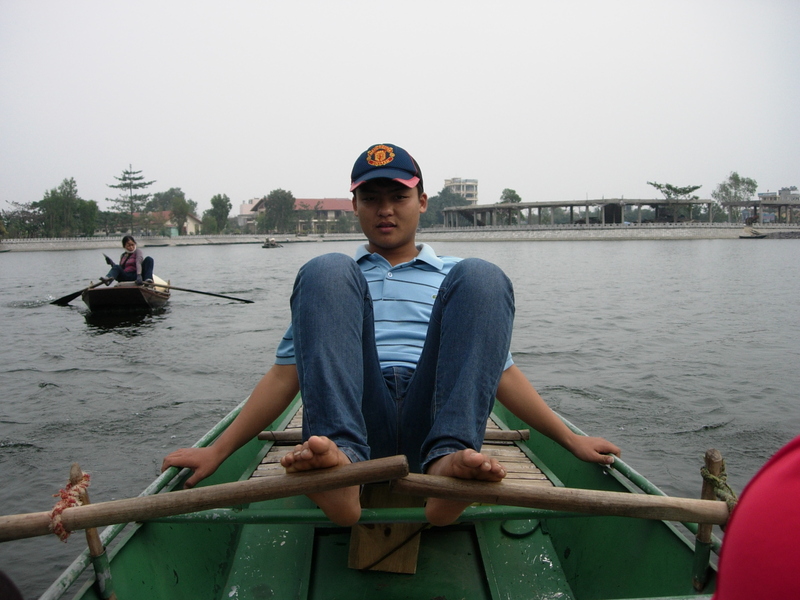 After the flight from HCMC to Danang and the 45-minute car ride along the non-descript and grey highway, it was simply enough experience to just sit at my small stool and slurp my cao lau in one of the many street stalls along the river with the quaint Japanese Covered Bridge behind me. What surprised me most about the Old Town wasn’t its smallness, after all ancient towns are supposed to be small, like cute arte d’ objects but its seemingly laid back atmosphere in spite of the massive tourism industry and the hundreds of souvenir shops and tailors. Even the xeom and cyclo drivers are not as aggressive. Surprisingly, the tailor shops are a little sedate. Sure they call out their services but at least they don’t run after you. 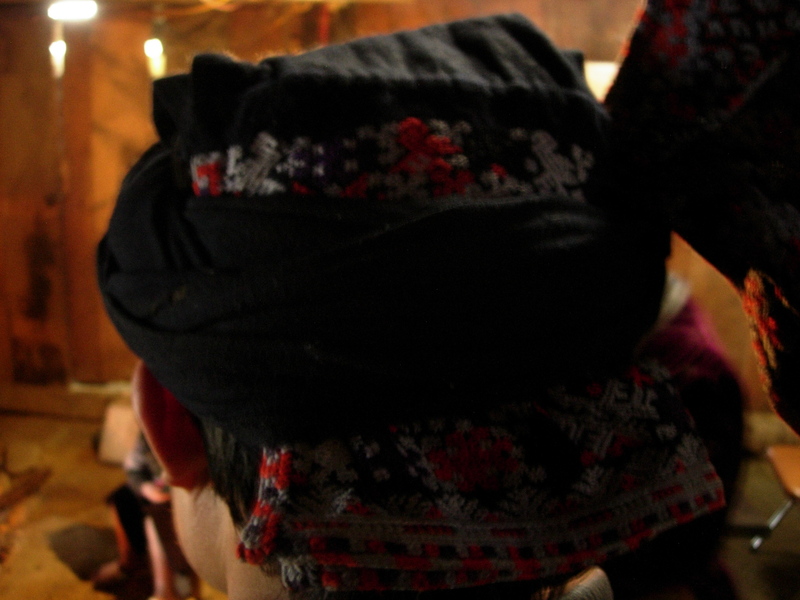 More aggressive are the women selling the miniature clay figures and whistles made in the pottery village of Than Pho. In my last night at Hoi An, having a slice of White Chocolate Kahlua Cake at the patio of Tam Tam Cafe, a woman parked her bike at the side and approached me with a bag of the clay figures. I shook my head. She hopped back on her bike and sped away. Now how many people would actually get down on a bike and walk-up to you just to sell you something? 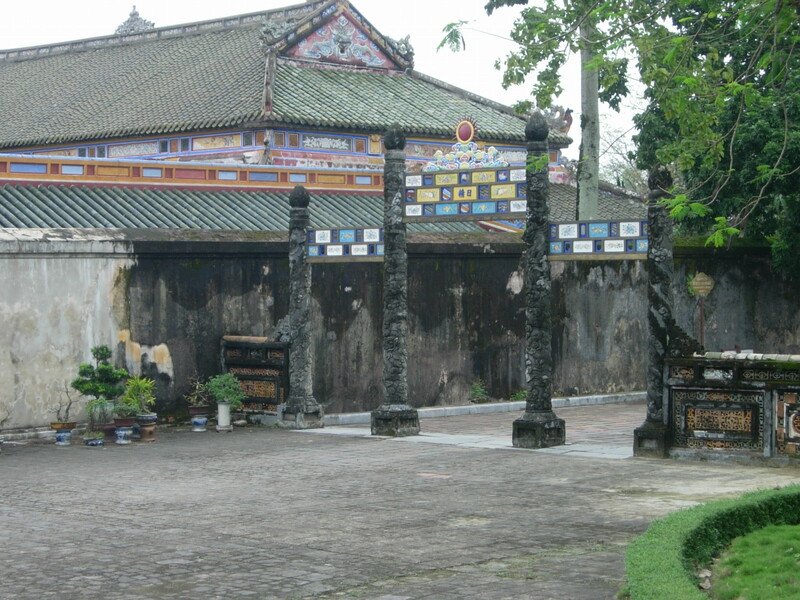 It costs 90,000 VND to enter any 5 sites at the Old Town. It was a challenge trying to decide which one to choose as there were a lot of interesting houses and temples. I was a little tempted to buy another Old Town ticket for an additional 5 sights but decided a peek from the open doors would be enough. 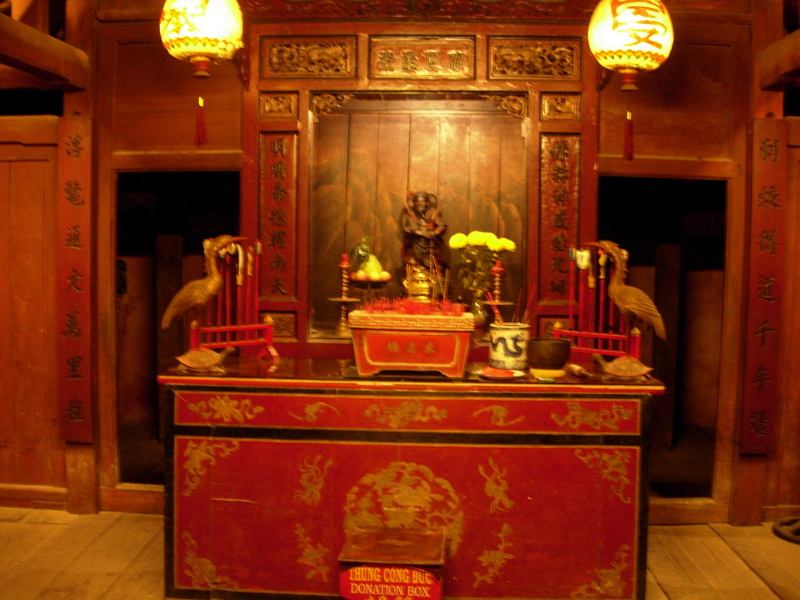 I started out at the Tran Family Chapel, a musty house whose centerpiece was the altar where ancestors and gods were worshiped. I read somewhere that altars have 3 levels with the highest reserved for the ancestors, the middle for the gods, and the lowest for the offerings. 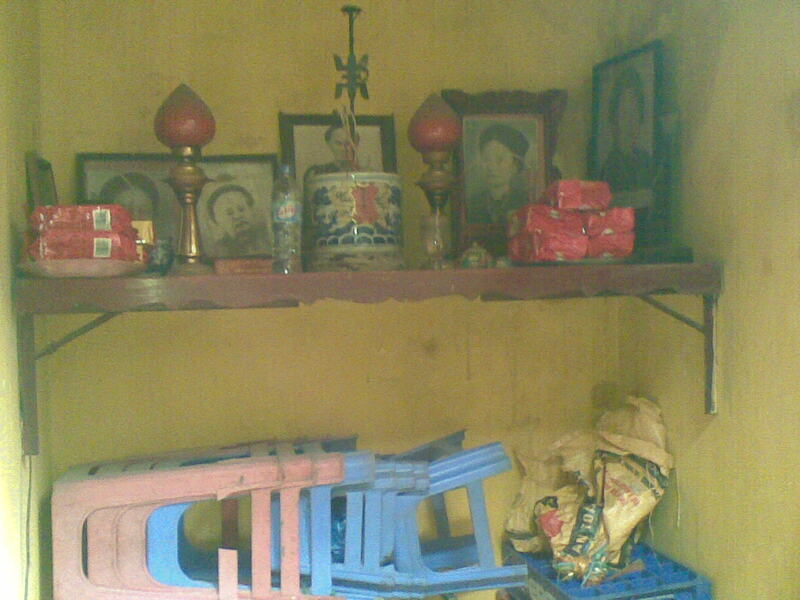 Rectangular wooden boxes standing upright held stone tablets detailing the birth and date of the deceased plus some personal items, an old practice that has since been replaced with pictures of the dearly-departed hanging on a wall. I still like the wooden boxes with the biographies because they have stories to tell unlike a single photograph. They’re like a museum-in-a-box. With all my favorite personal effects, I’d probably need more than a box, a chest perhaps to contain my piano and some of my other instruments. The Hoi An Deparment of Managing and Gathering Swallow’s Nest in spite of it’s royally grand sounding name (how many towns have a department dedicated to nests?) looked like a typical office with nary a bustling activity. Perhaps it isn’t nest-gathering time. I can imagine people lined-up on the streets wearing their conical hats and a bunch of twigs in their arms waiting for the nests to be weighed while overhead swallows circled crying foul. Chinese presence, like everywhere around the world, is made known through their communities. No, there’s no Chinatown but there are a couple of assembly halls where they congregate according to the province they came from. The Assembly Hall of the Fujian Chinese Congregation looks more like a temple with its plethora of statues and even a Chinese boat. 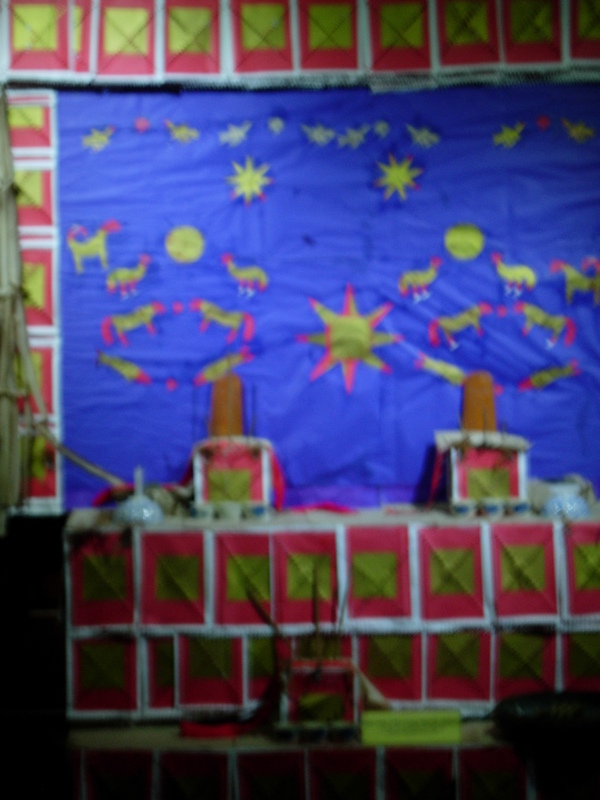 I liked best were the figures behind the altar which represented the 12 ba mu (midwives) each carrying a baby and representing the different skills babies need to learn. 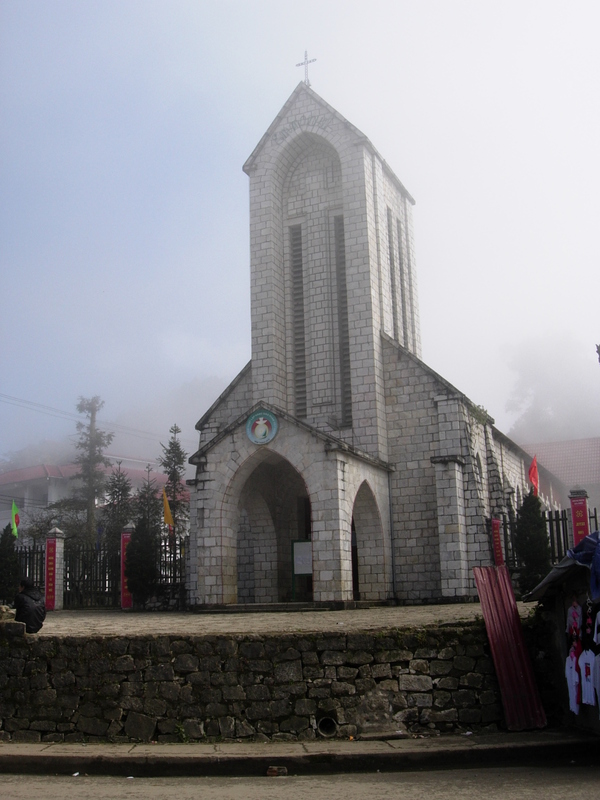 It is said that childless couples come here to pray. 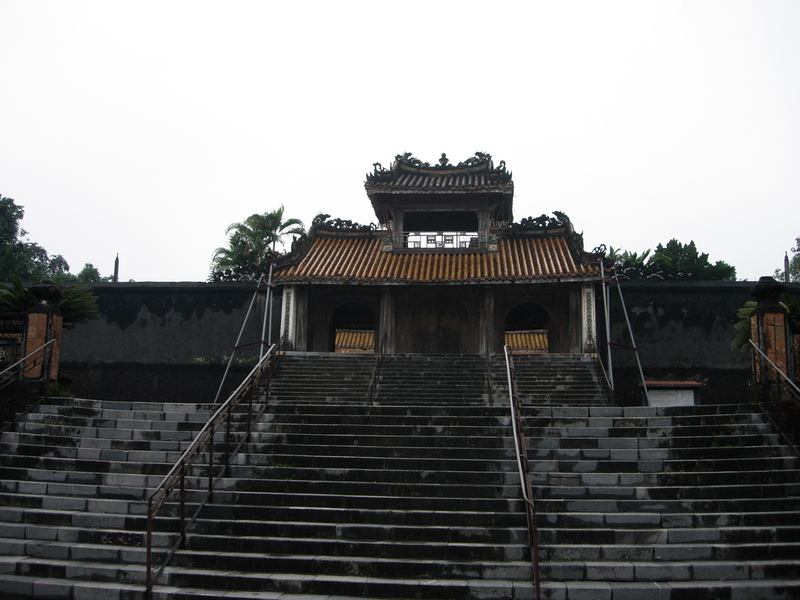 Less atmospheric is the small Quan Cong temple dedicated to its namesake, an esteemed general worshiped as a symbol of loyalty, sincerity, and integrity—attributes I wish our own generals or the rest of the military would have. 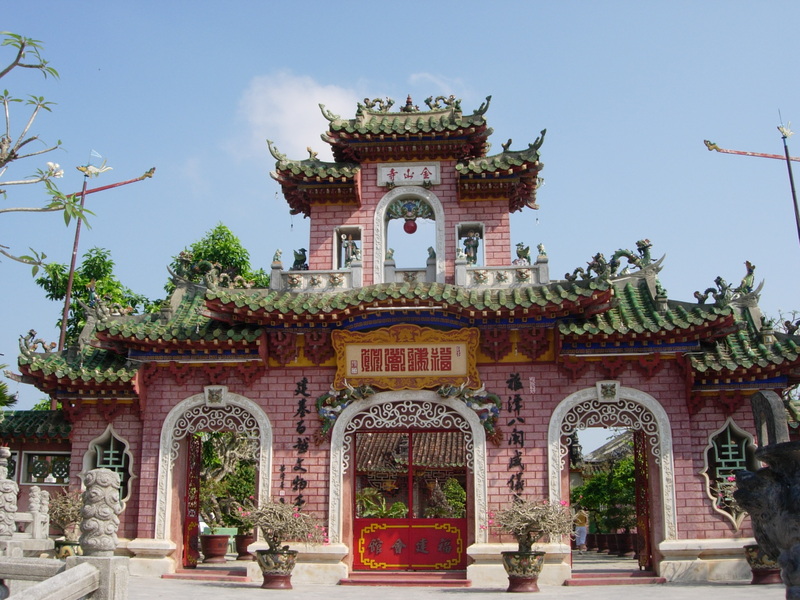 It’s amazing how the Chinese and even the Vietnamese have temples dedicated to highly-regarded public figures especially military figures. It does say a lot about their history and how military conquests played a significant role in their nation’s history. More amazing is these people are worshiped like saints. Small it may be, the temple has life-sized figures of General Chua Xuong, one of Quan Cong’s guardians and his mandarin, Quan Binh, plump and looking a bit jolly which is just my image of mandarins. There’s also a life-sized horse that recalls the real one ridden by him. More of a souvenir stop rather than a sight to see, the Handicraft Workshop is housed in a large Chinese trading house and rightly so because all kinds of Hoi An crafts were there— sculptures carved out from stone and bamboo roots, the ubiquitous colorful Chinese lanterns that you squeeze so that it folds-in, and beautiful embroidery., one of which I was tempted to buy if not for the high price. 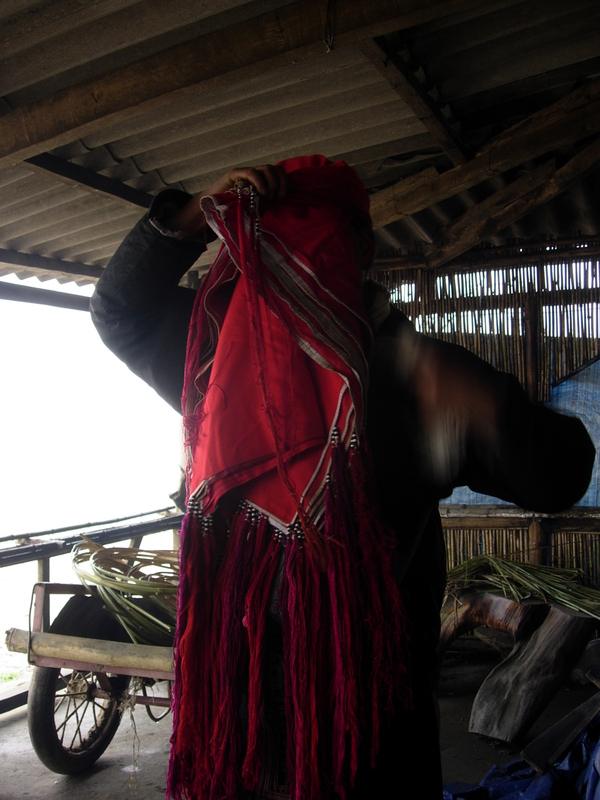 The most interesting to watch was the woman weaving a large mat with a loom. Too bad, there wasn’t any musical performance going on when I visited. 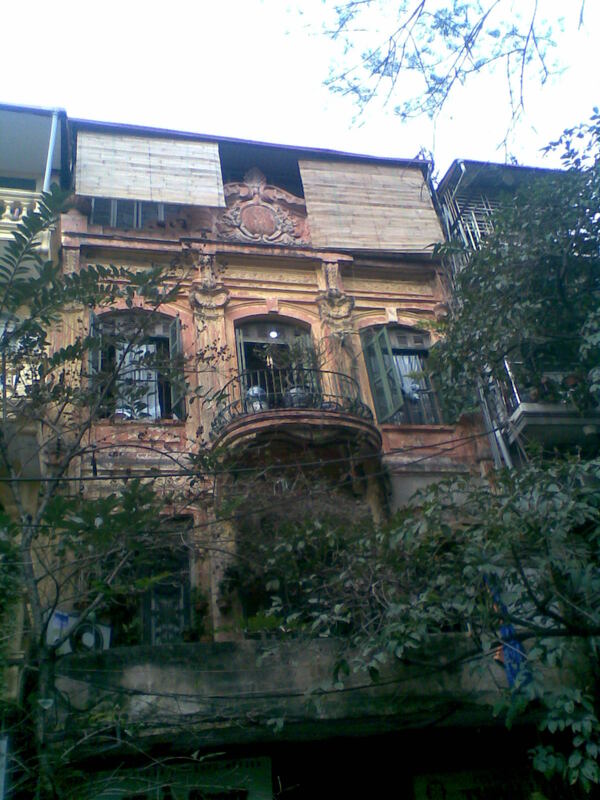 Of the five sites, the one I really like best is the Tan Ky house on the street that runs to Bach Dang along the river. It’s really popular as it’s a perfect well-preserved example of a well-to-do home in the 19th century. Past the short corridor that opens up to the center of the house are beautiful panels with Chinese characters formed entirely of birds. 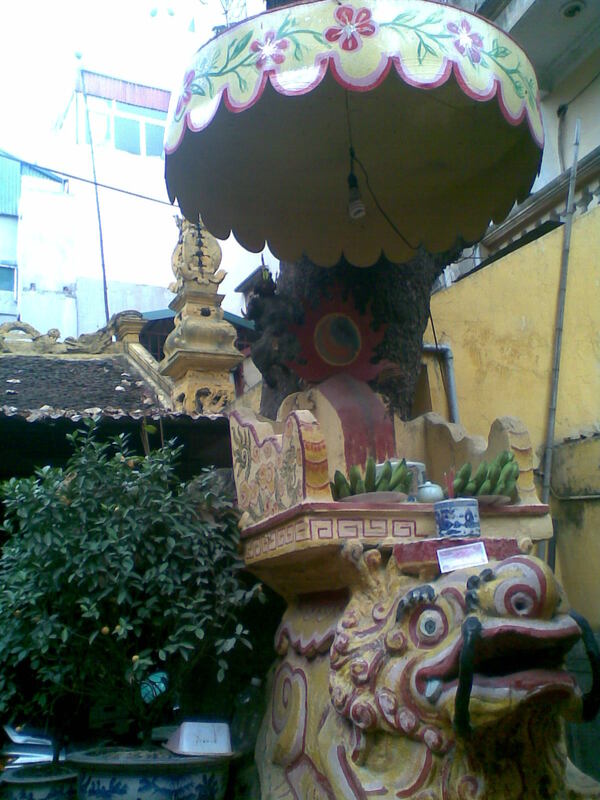 An alcove on one side held up an altar. A group of us sat at the sitting room while we were served tea and a young woman detailed the history of the family and the house. Above the entrance is the matriarch while those of the later generations are on the wall of the sitting room. 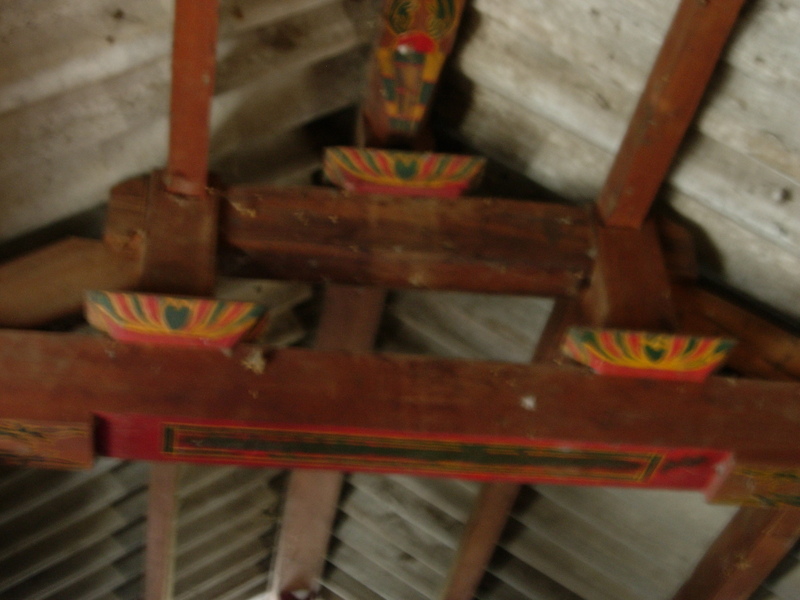 Three beams on the ceiling (representing Heaven, Earth, and Hell) are Japanese architectural influences. A stairway leads to the second floor which is closed though there is a view of the beautifully carved balconies from the small courtyard. 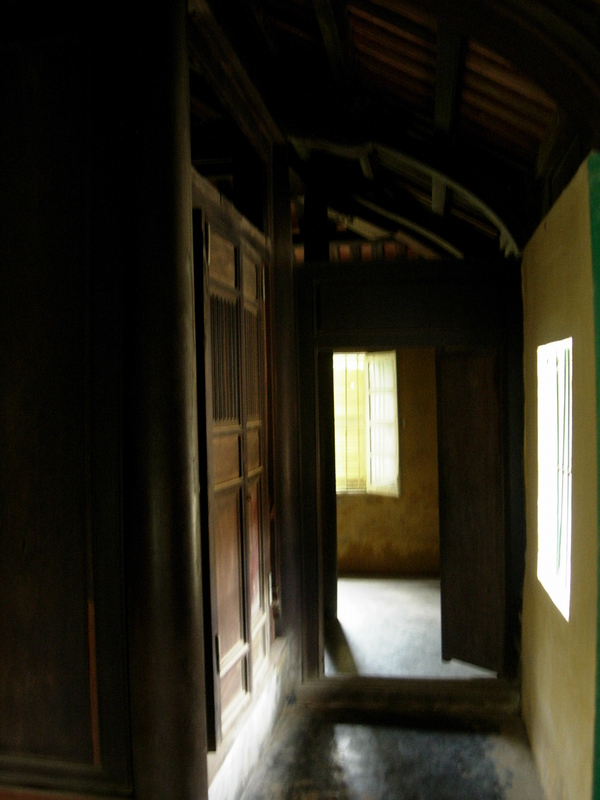 There’s a small bedroom on the hall past the courtyard whose outside walls are marked with flood-water levels in the past years the highest of which was 2m in the 2007 flood. The back of the house opened-up to Bach Dang and to the river. The house is quite small but really nice and filled with original period furniture. The house "guides" actually try to sell you some pendants representing your Chinese horoscope. Wouldn't you like sleep in this cozy little bedroom? 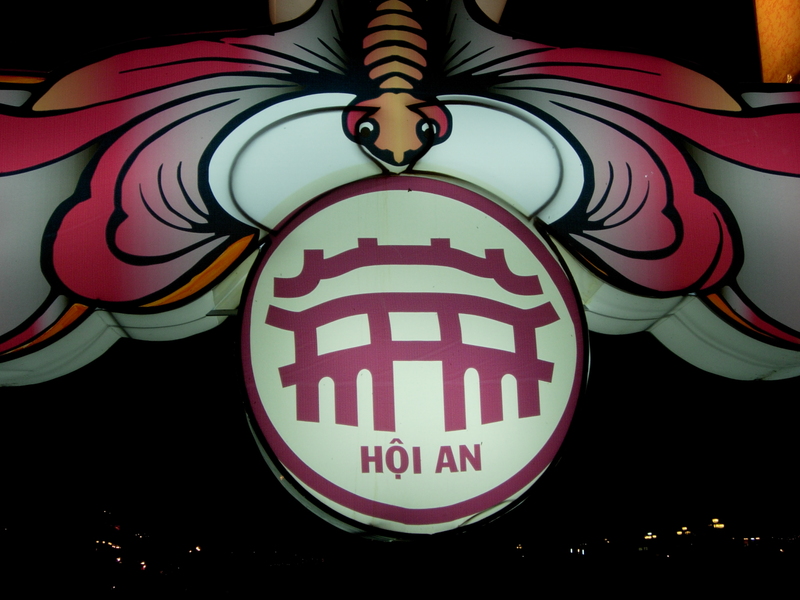 The Japanese Covered Bridge is as quaint as Hoi An itself so it just rightly so that it has chosen it to be its emblem. 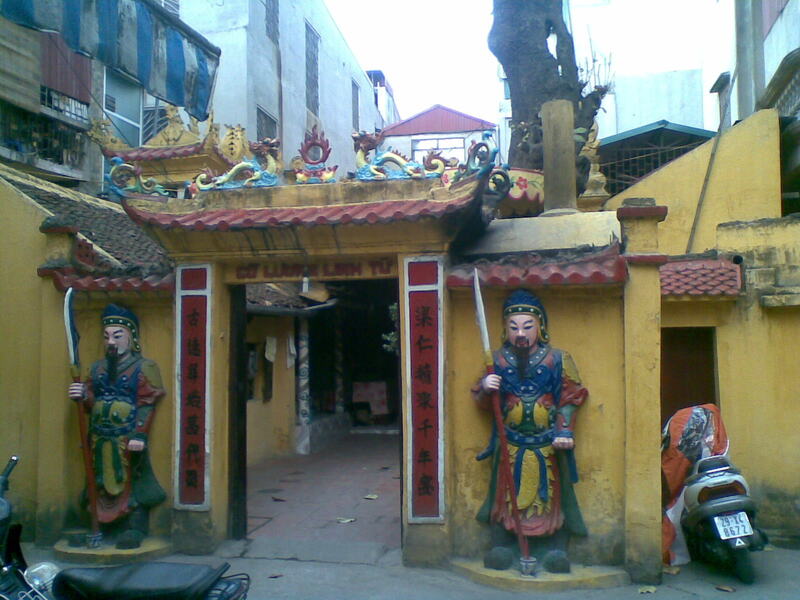 On one side is a small temple dedicated to a dragon which legend says, once lived there. It remains open in the evening when the guardian isn’t around so no need for an Old Town ticket to gain access. Besides, it’s really small and you can see everything by just looking in from outside. 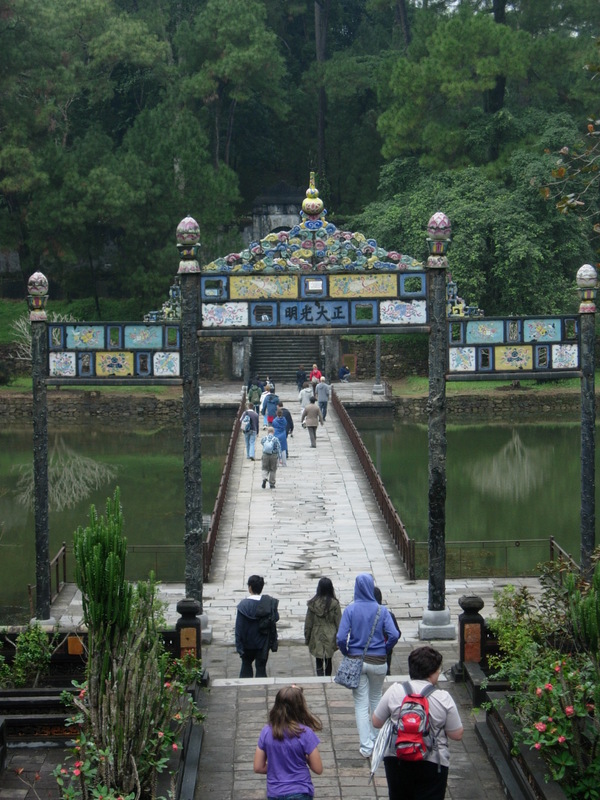 The small bridge is guarded by a pair of dogs on one side and a pair of monkeys on the other. 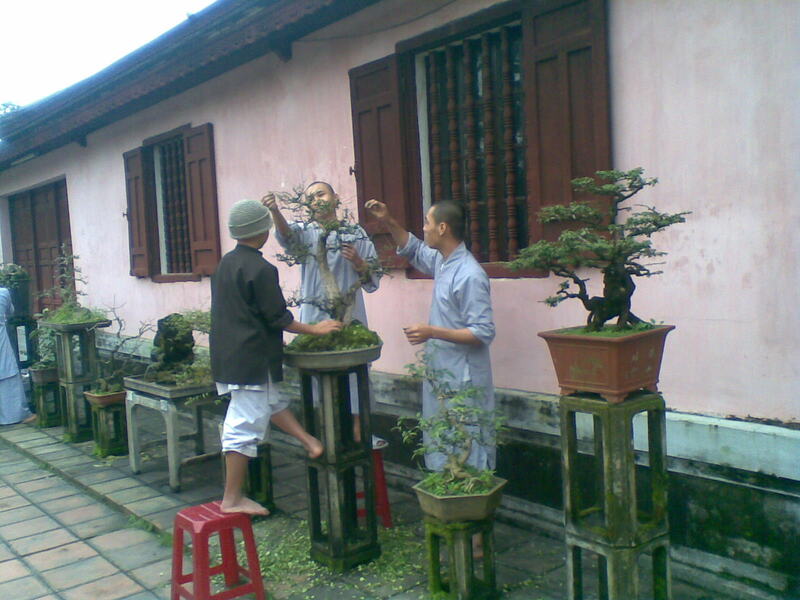 I stayed about two full days at Hoi An and I never tired of walking its maze of streets. Sure, numerous tailors and shops selling all kinds of souvenirs, cafes, restaurants, all vie for space with assembly halls, museums, workshops, and old houses; but there’s always something interesting to see and it always makes for a pleasant stroll. 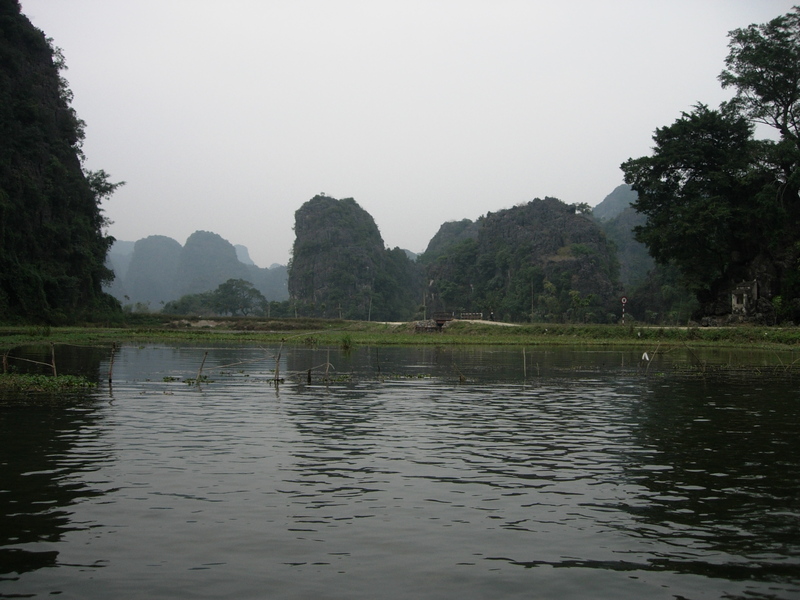 The An Hoi peninsula on the other side is less-interesting as there’s nothing ancient there to see. The most unexpected thing that ever happened to me was, of all activities, during shopping for some souvenirs. 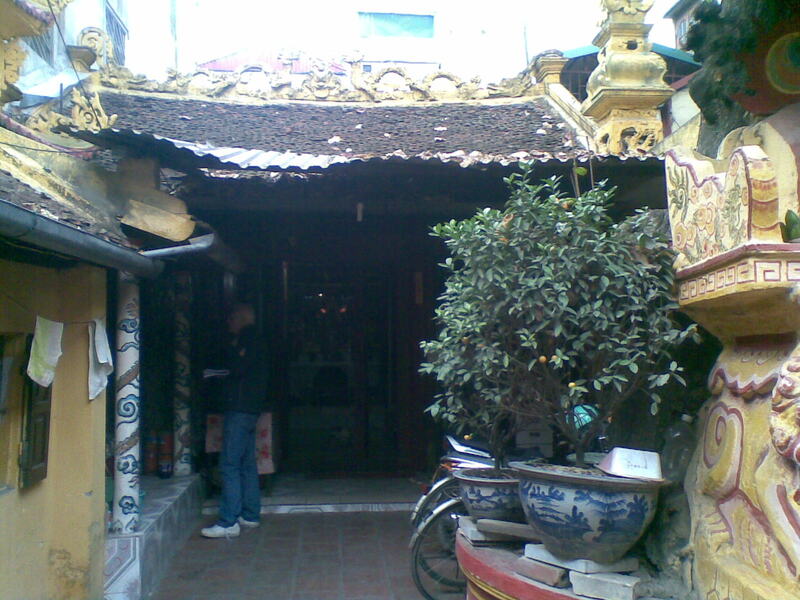 There are lots to be had at Hoi An and everywhere are really good shops for browsing. The little market (currently under renovation) sells everything from fresh food, household stuff, to gongs and lanterns. But it was at a particular shop that caught my fancy with its display of royal clothes and water puppets. 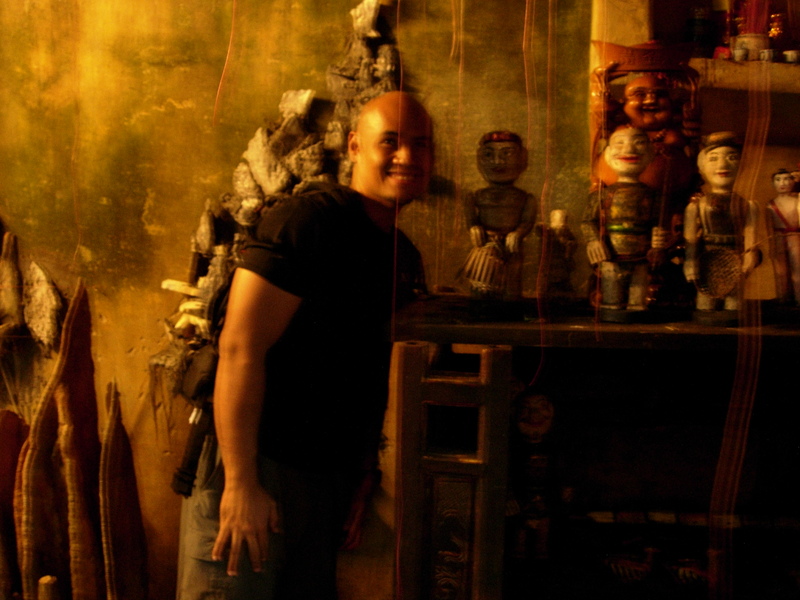 The attendant was a mild-mannered guy who happily entertained me, showing me how to work the puppets at the small stage in the corner. He owned the shop and there were lots of curious including some small old-looking gongs. I apparently caught his fancy as he kept touching me all over and I kept squirming. Each time I asked him to take my picture or every time I took a picture and he would look at the lcd display, he would explain “beeyottifulll,” while he touched my arms and rubbed my chest. Anyway, at least he gave a me good discount. One of my best buys at Hoi An was a “singing bowl” so called because of its beautiful ringing sound every time you hit it with a stick. According to the business card, it was casted from a nearby bronze-making village. 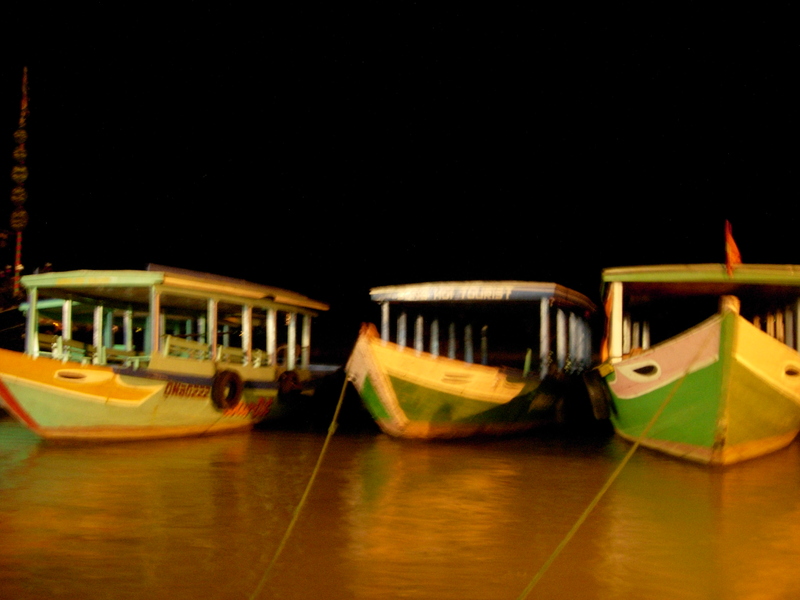 Hoi An is best in the evening. 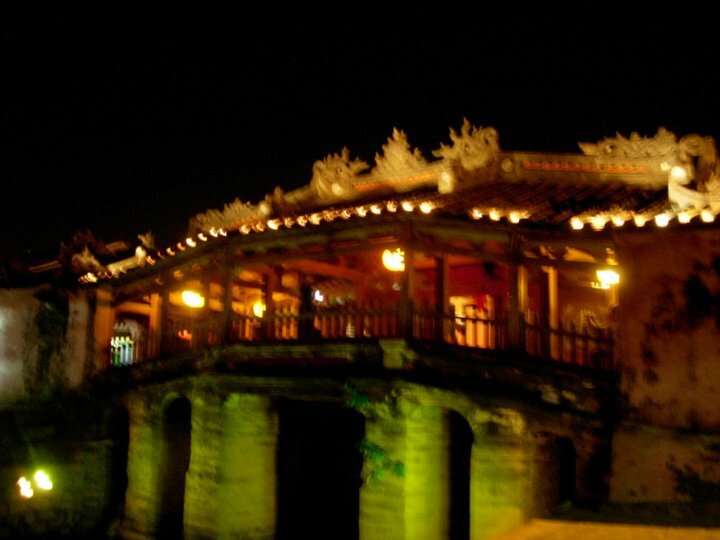 Beautifully lit Hoi An looks so romantic. Lanterns festoon the street and the Thu Bon comes alive with huge animal-shaped lanterns floating on the water while people meander on row boats (something I should have tried). Small colored open lanterns lit with a candle inside which you can buy for a couple of dong from the many children then float it on the river reminds one of Thailand’s Loi Krathong. On its banks, people dine on cheap eats of the famous Cau Lao, grilled pork, and even black sesame soup. Nearby, the Japanese Covered Bridge is lighted up creating a dazzling illusion on the still water that runs underneath it. True to its image of a heritage town, performances also abound. 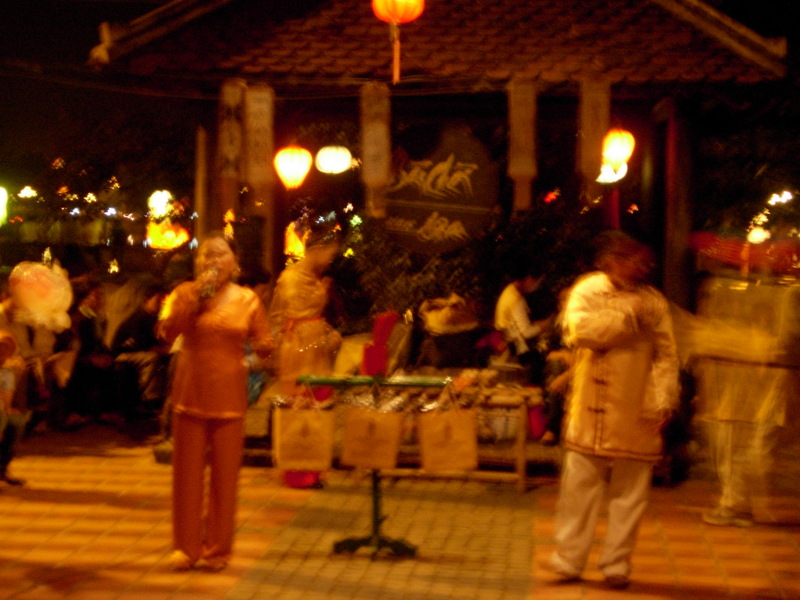 At the Old Town Booth at the corner of Hai Ba Trung Tran Phu, men and women practice some songs. 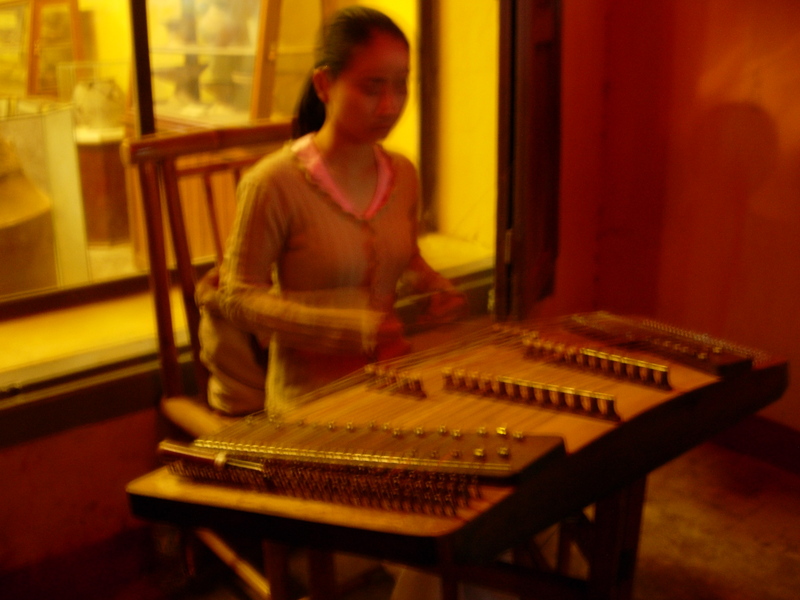 In front of the Museum of Sa Huyn Culture at Tran Phu is a shy girl playing the dulcimer. I bought a 20,000 ticket for the show at the Performance Center which was on the second floor of a restaurant. There were about 10 of us and nobody checked for tickets. The dances were so-so but the music, especially the ensemble playing of a drum set, the dan bau (1-stringed monochord), the 16-stringed zither, a flute, and a lute were really excellent. I especially liked the flute and the dan bau. The ensemble even played “Jingle Bells” as it was Christmas Eve. The really interesting show was at the small plaza where a game was being played. 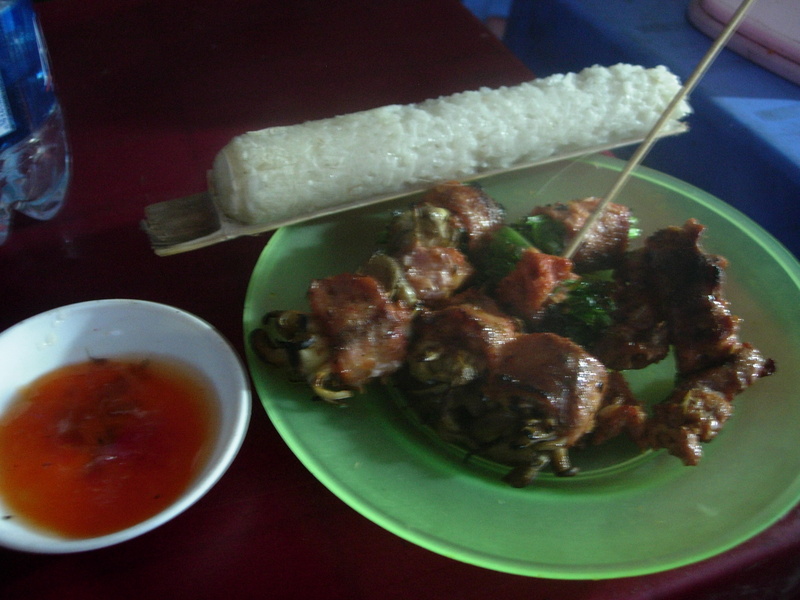 As announced by one of the “hosts,” it was a Vietnamese binggo. People sat around in a large circle holding pallets and yellow flags. Game show contestants would get a pallet and hang it on a string strung across the plaza. I really couldn’t understand how the game went on but it drew a sizeable crowd as the hosts seemed to be joking a lot judging from the crowd’s reactions. 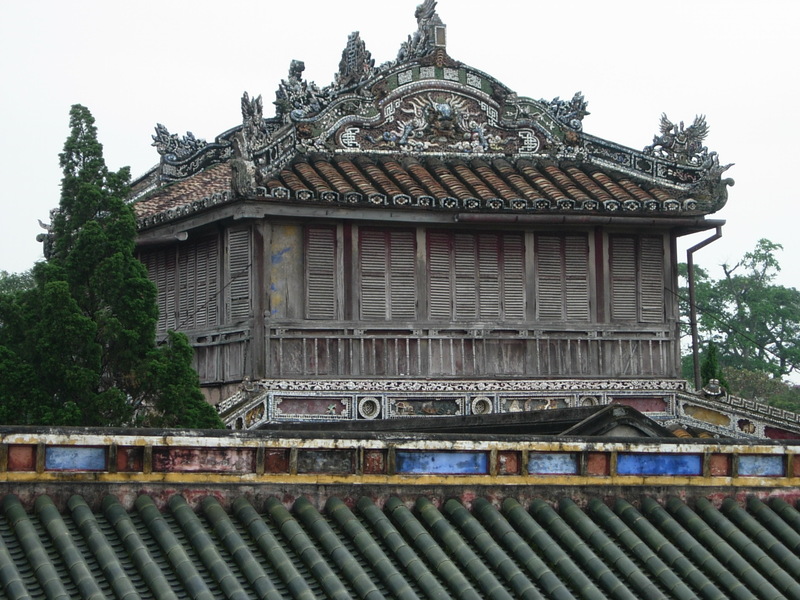 I hope Hoi An retains its charm in spite of the massive tourism taking place. It’s one of the towns that I found hard to leave behind.